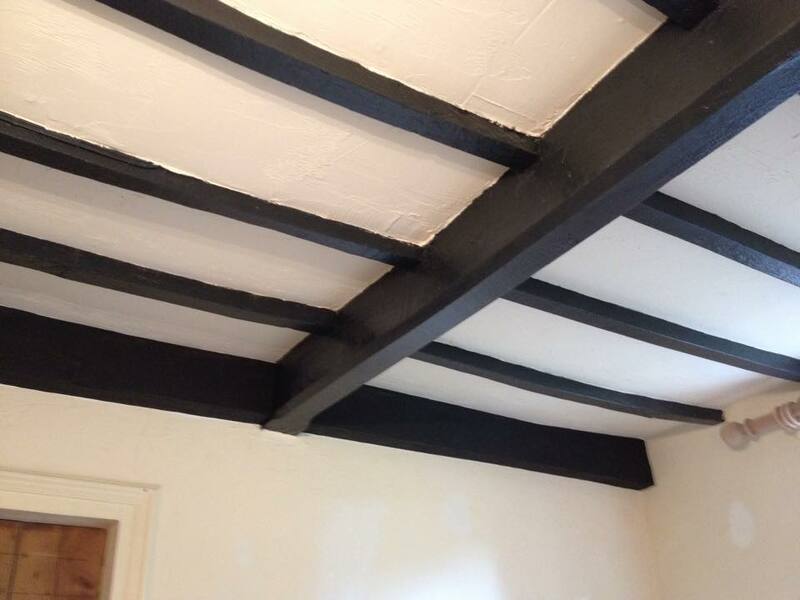 Renovation of black beams with no mess whatsoever!! 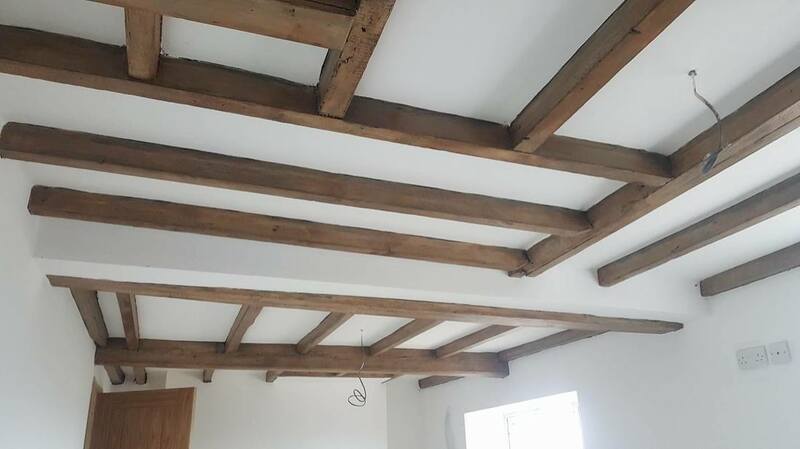 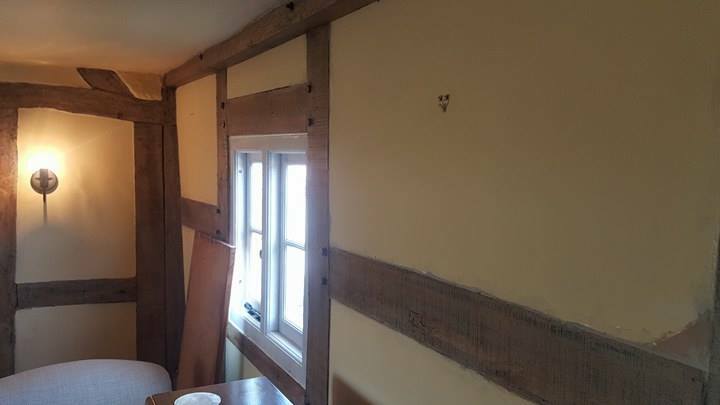 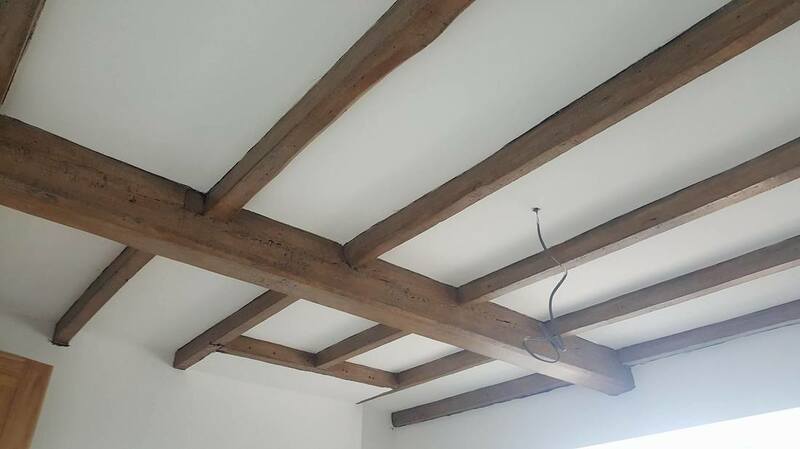 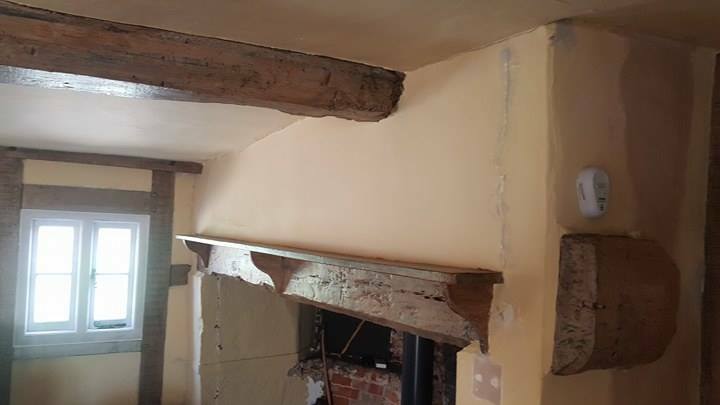 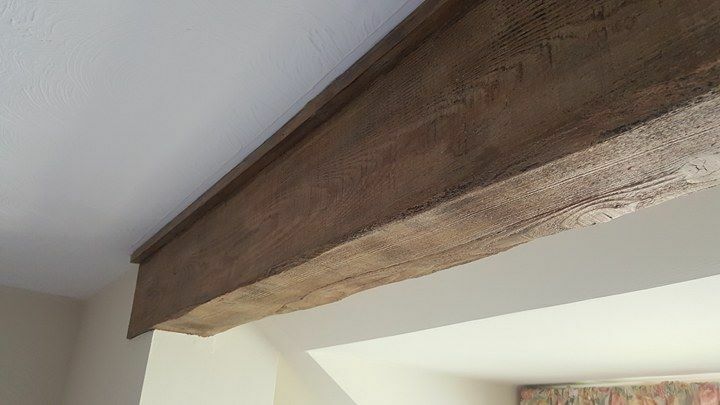 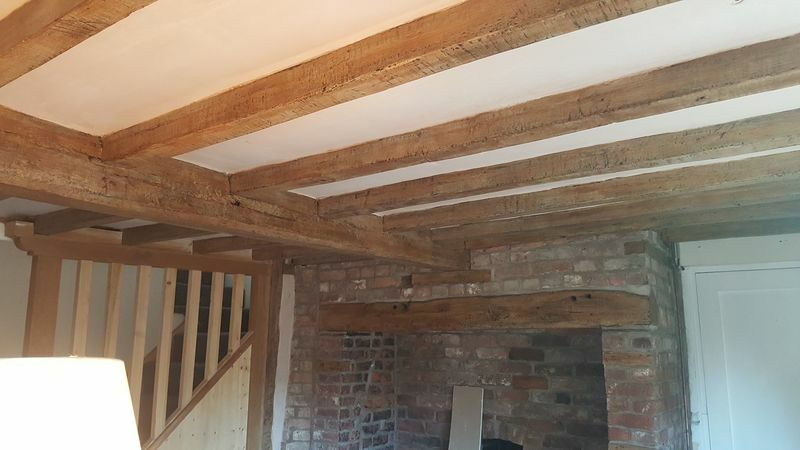 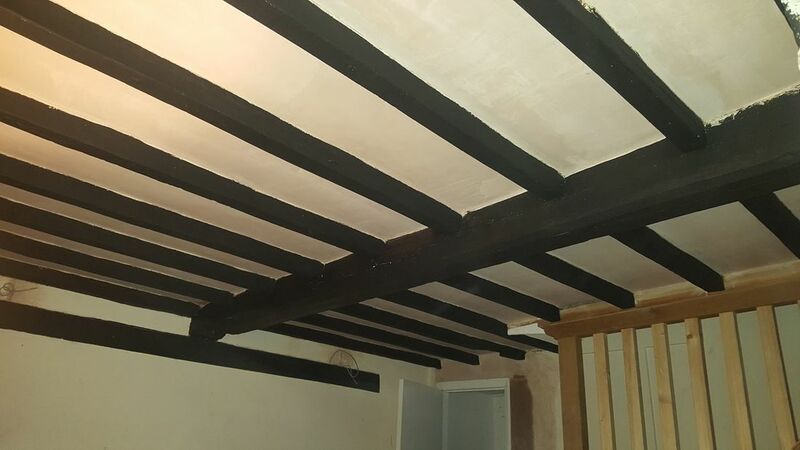 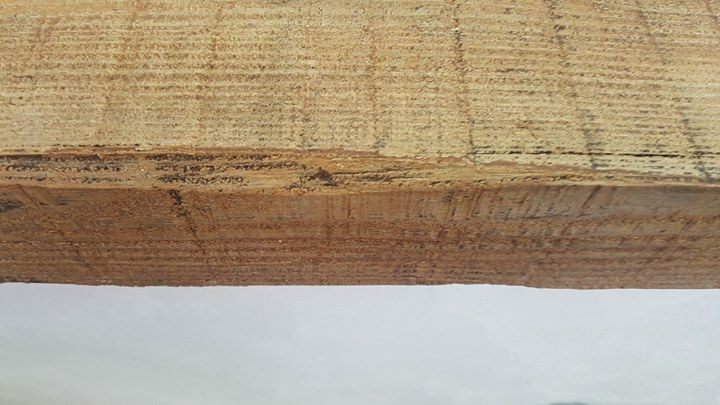 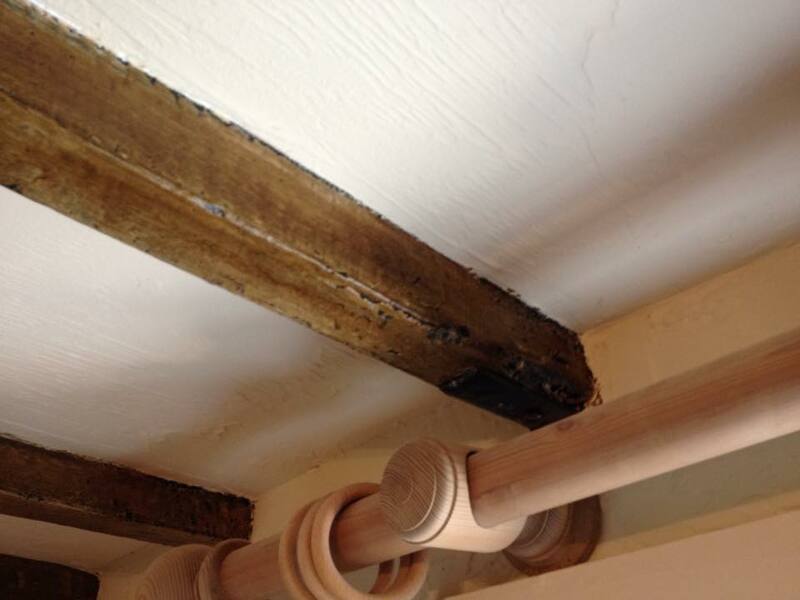 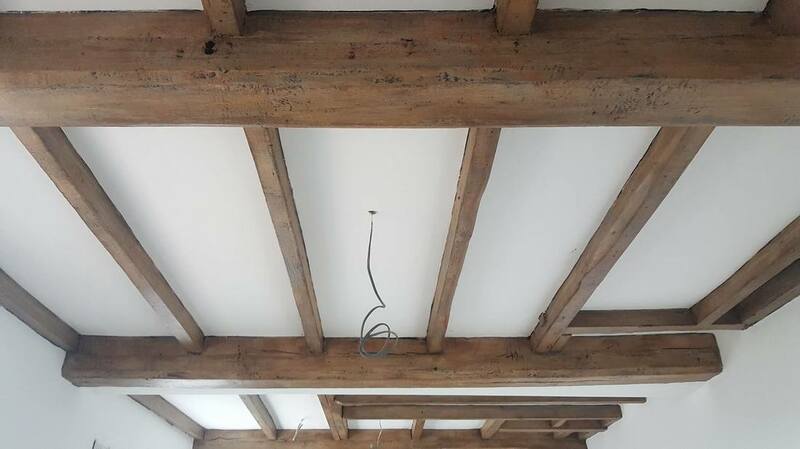 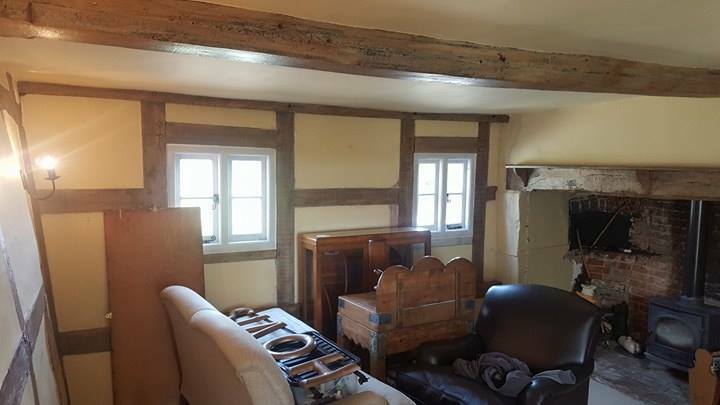 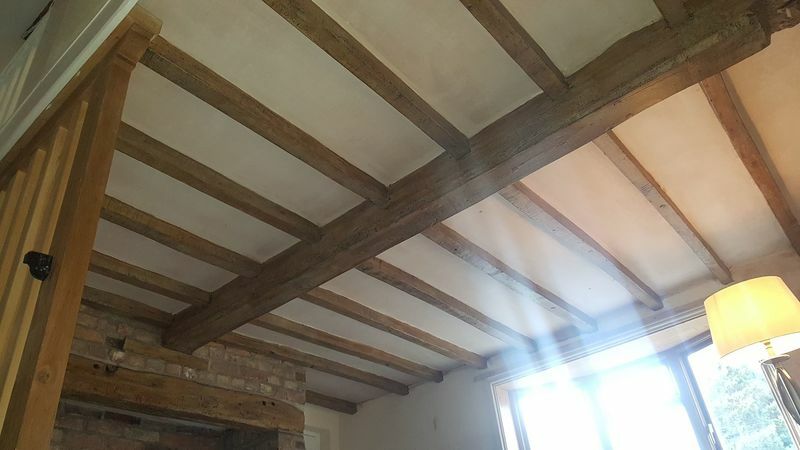 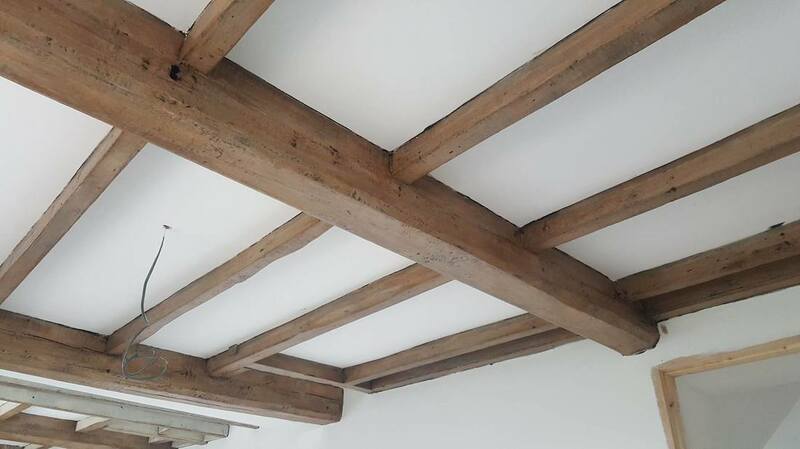 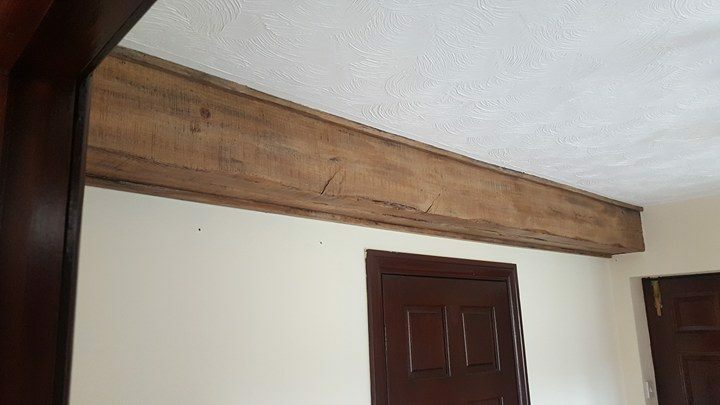 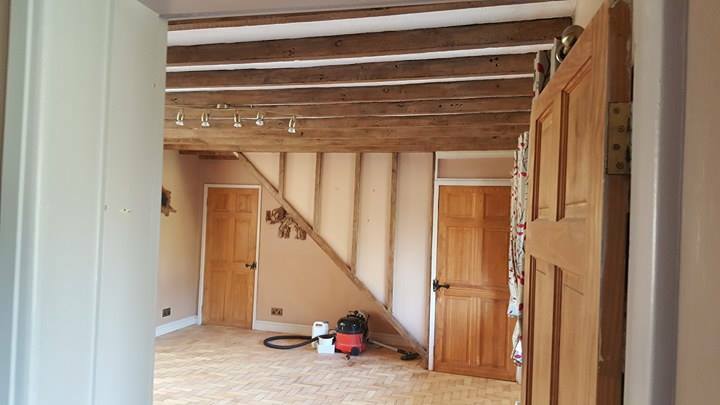 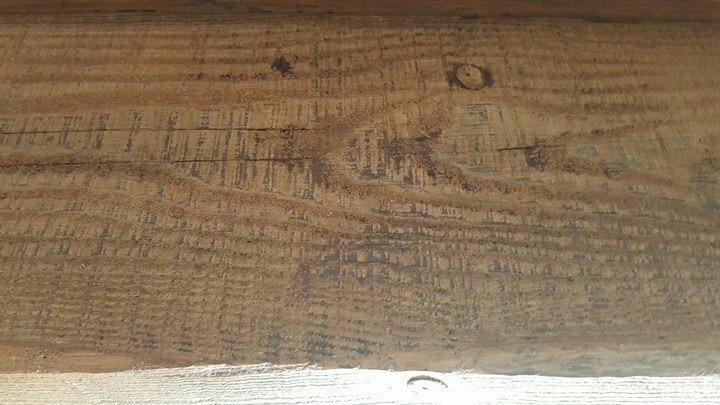 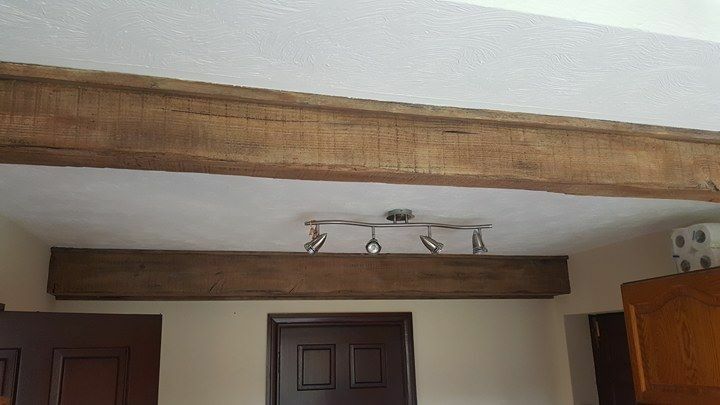 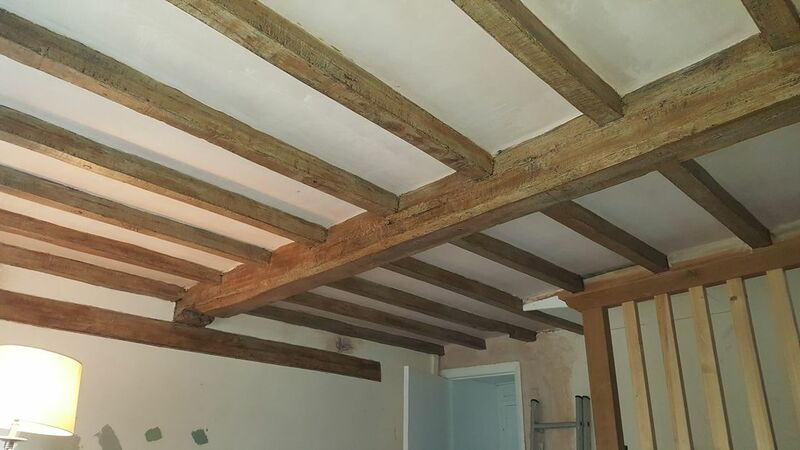 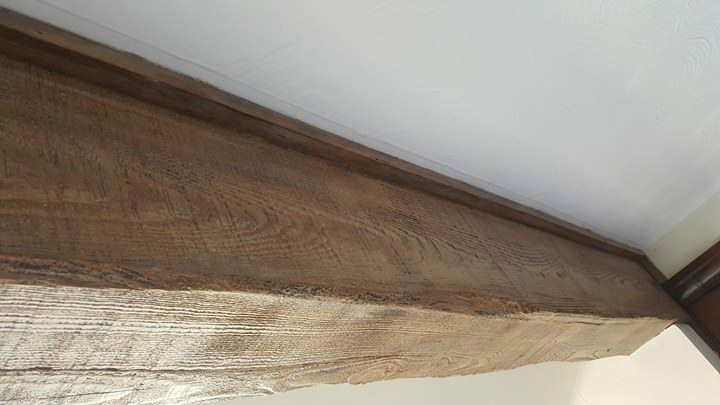 We also offer a beam renovation service for those who can do without the destruction and mess caused by sand blasting or chemical stripping. 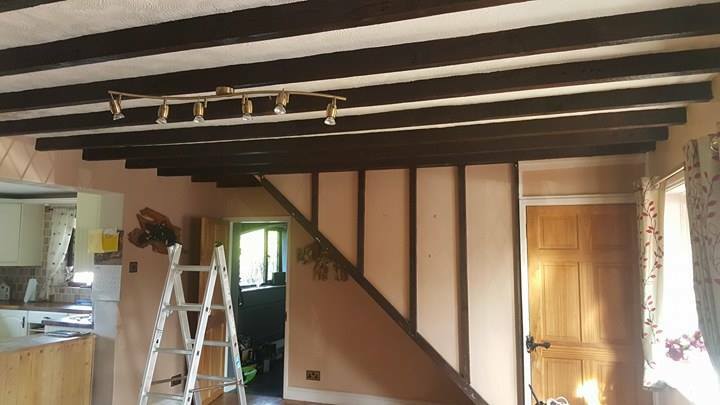 This process can be undertaken with furniture in the room, shall not spoil your decor or cause any disruption to your house. 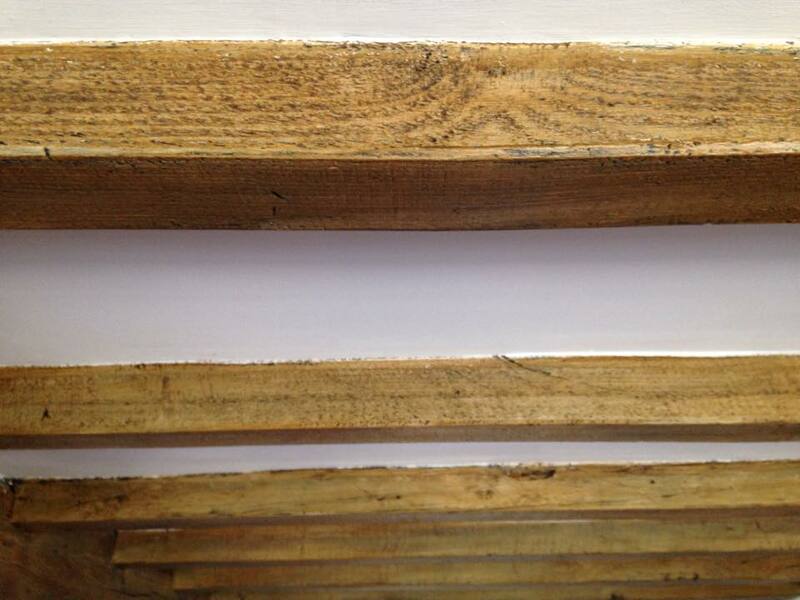 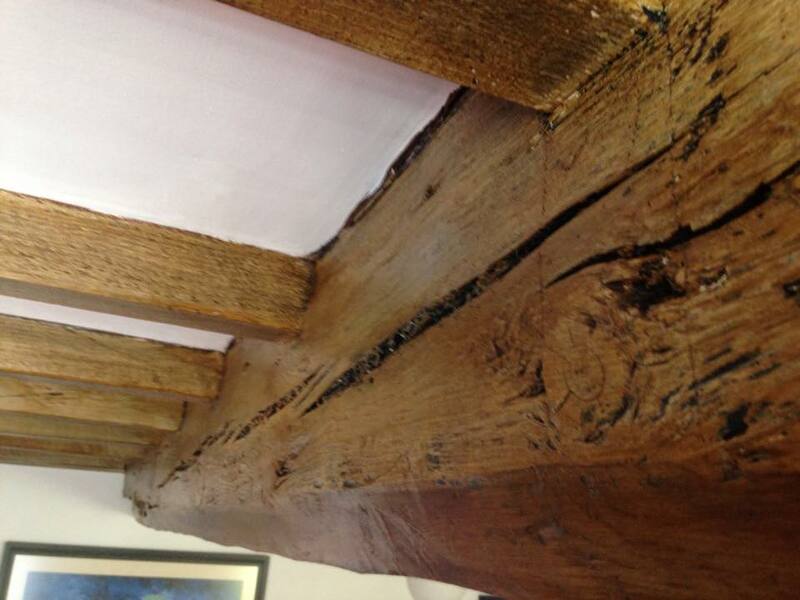 The process in entirely water based and causes no odors. 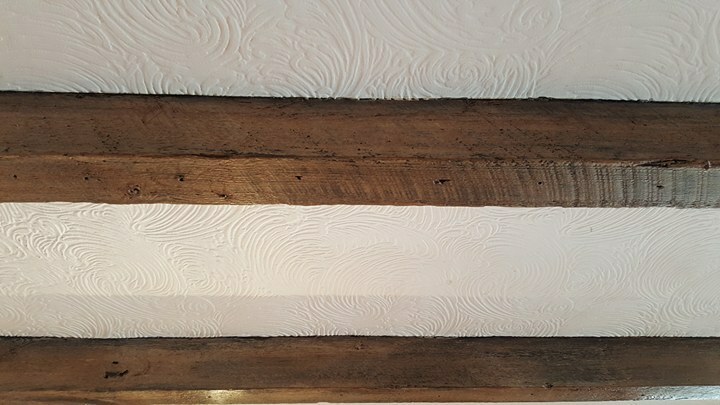 The photo's on this page are before and after pictures of actual finished results and took in some cases, only one day to complete. 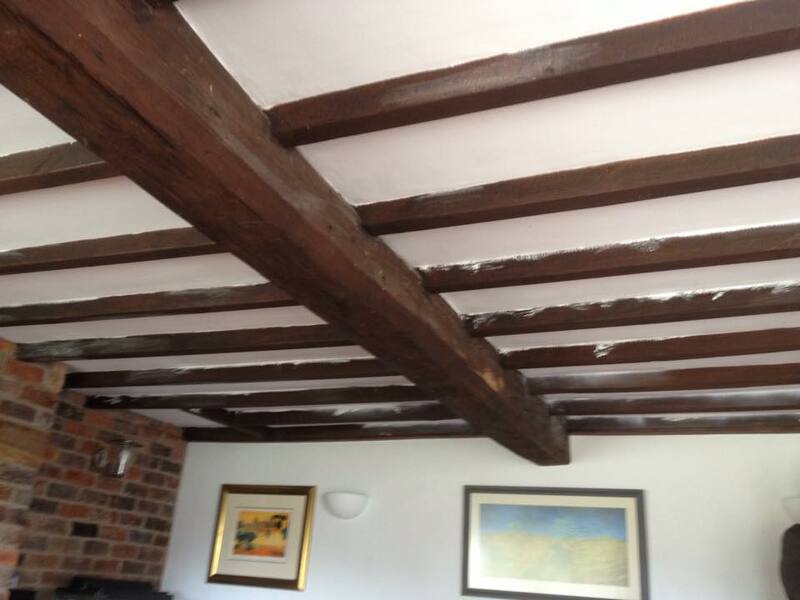 Recent job in Oswestry, Before and after!! 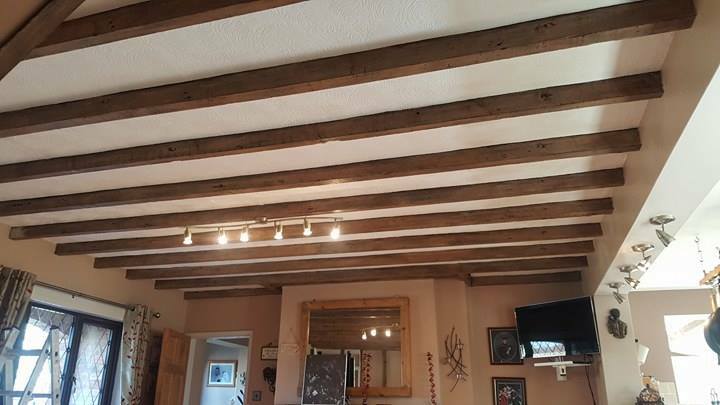 Recent job in Snail Beach, Shropshire! 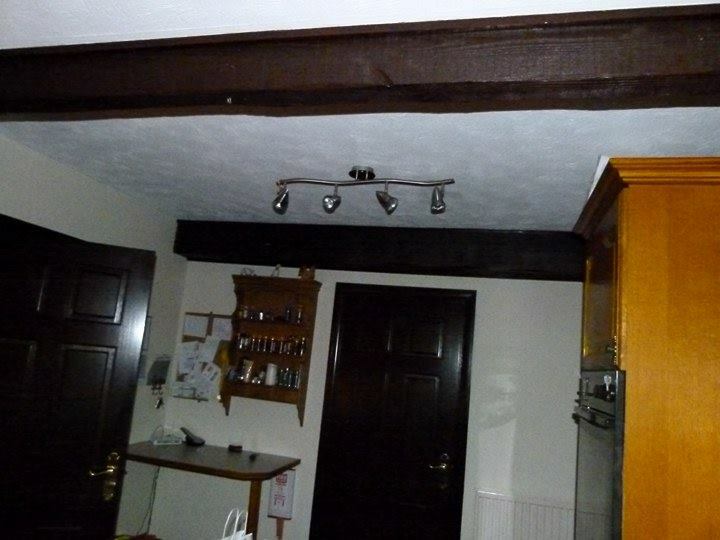 Before and afters! 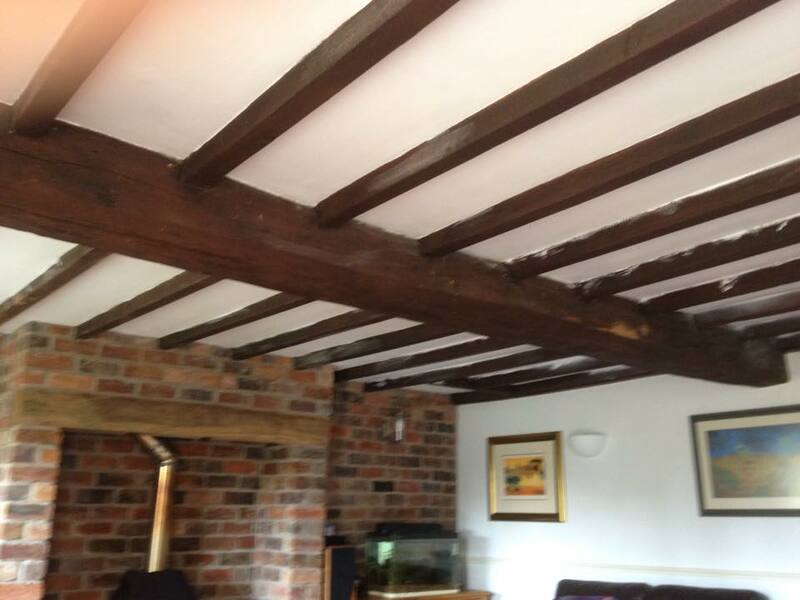 A recent job in Pontesbury, before and after! 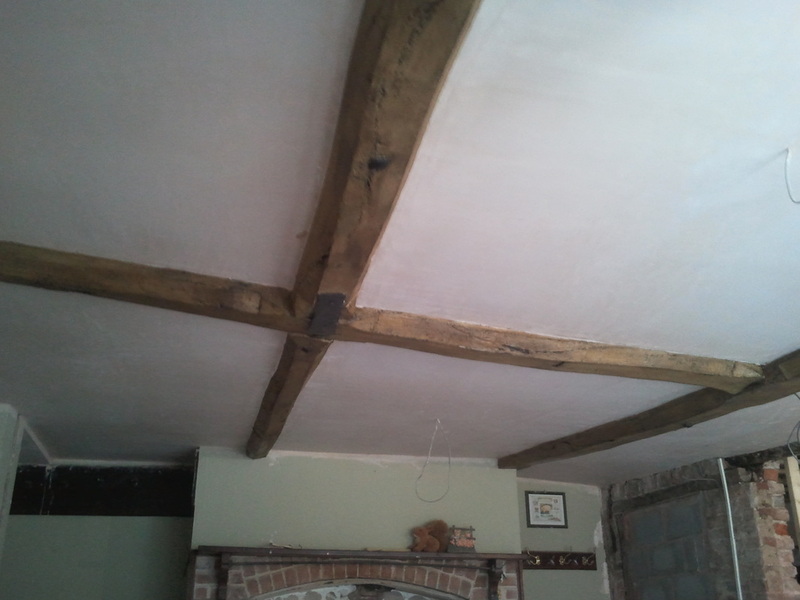 Before and after of a recent job in Wem, Shropshire!! 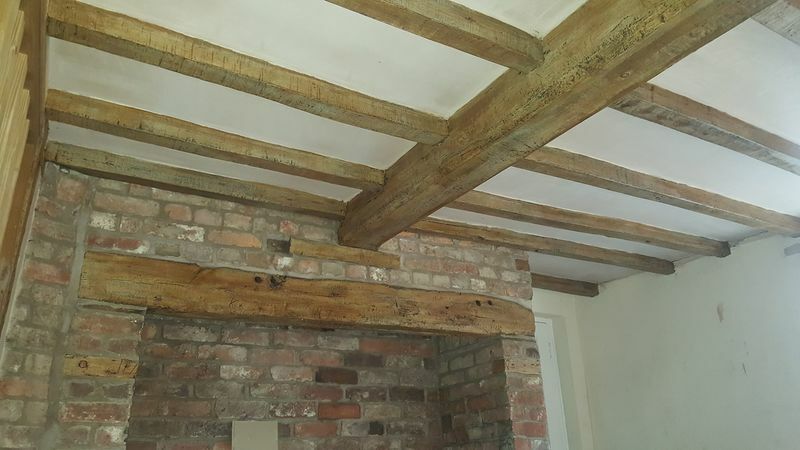 Before and afters of a recent job in York!! 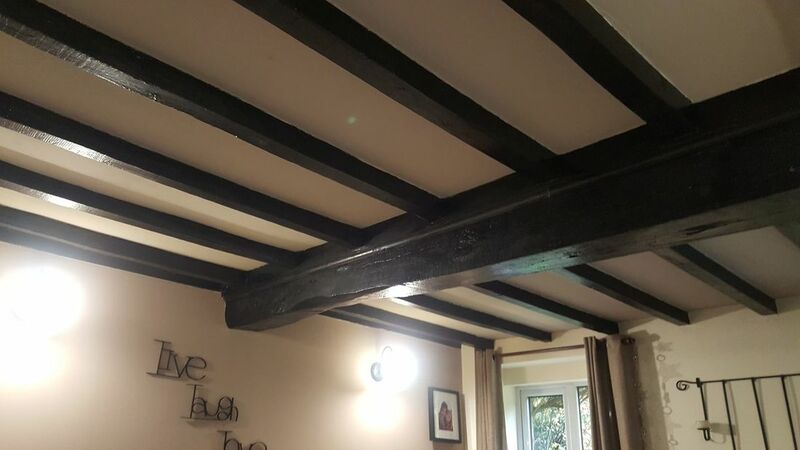 We cover all of Britain!! 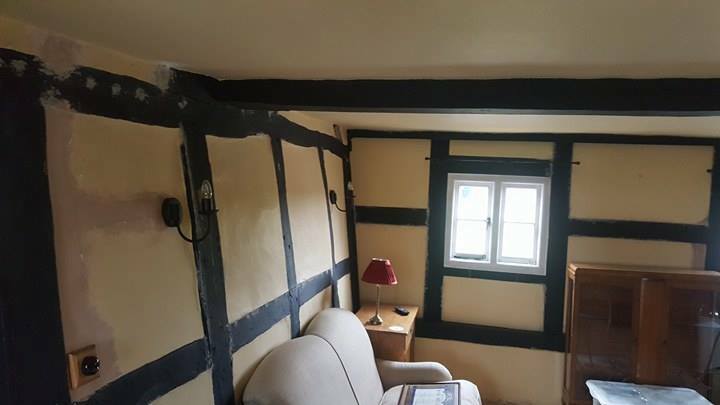 Before and afters from a recent job in Evesham!! 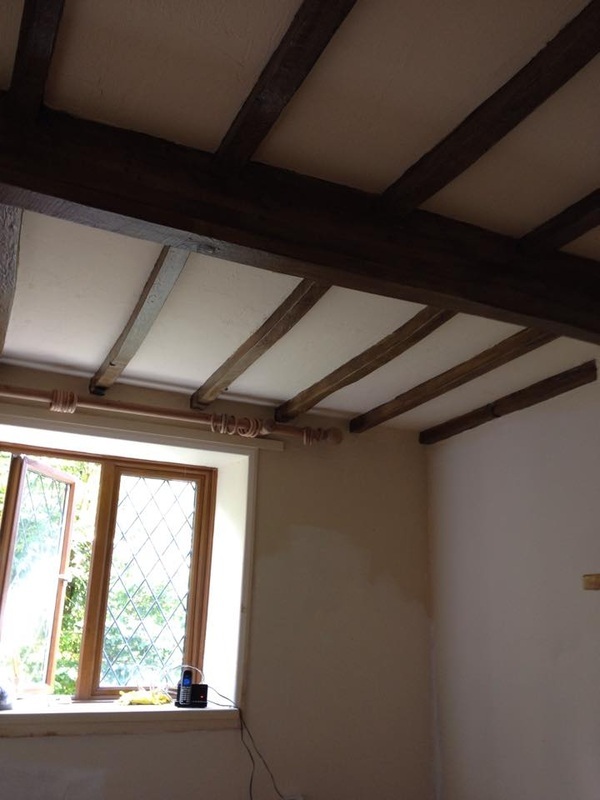 Recent job in Bromlow, SY5. 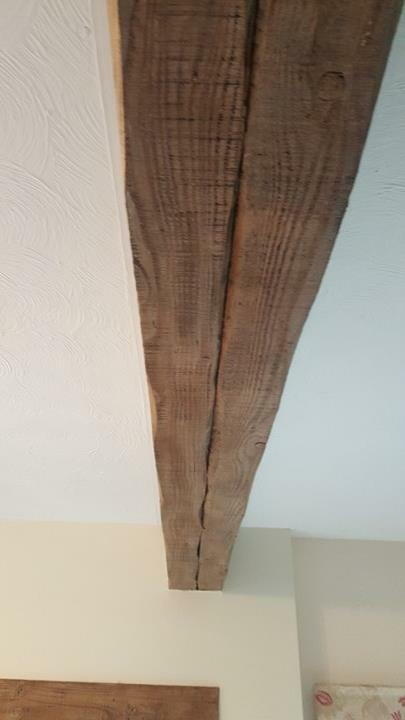 Before and after pictures below. 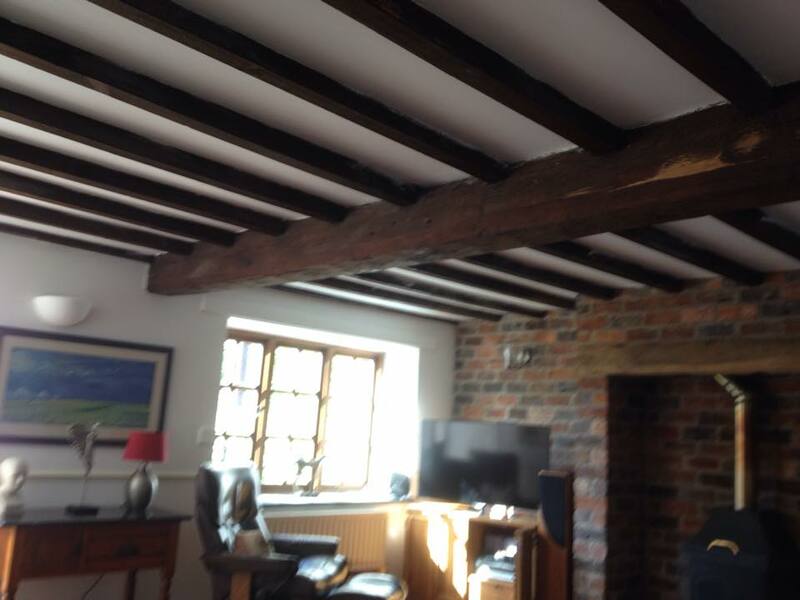 Before pictures from a recent job in Oswestry. 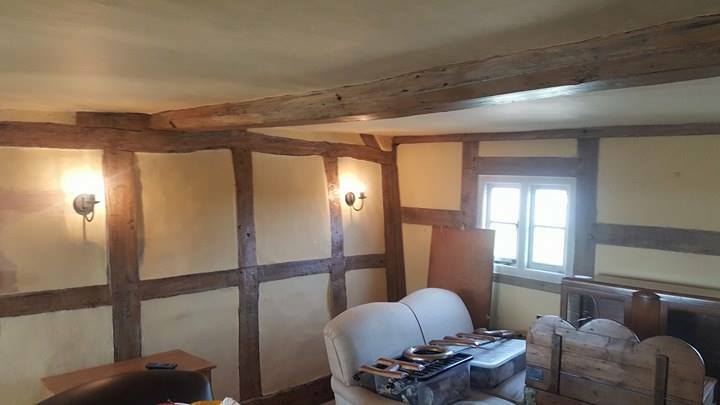 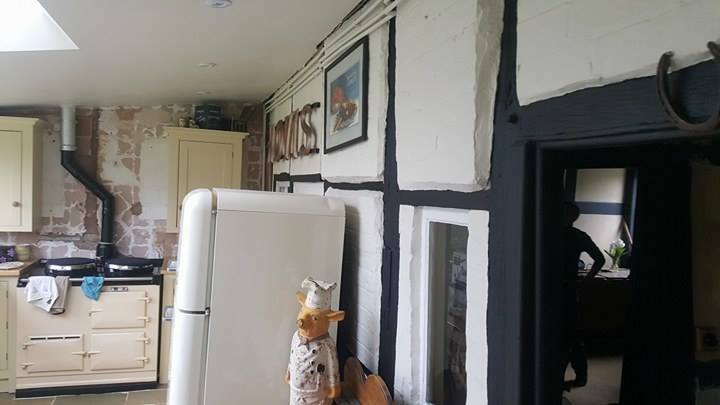 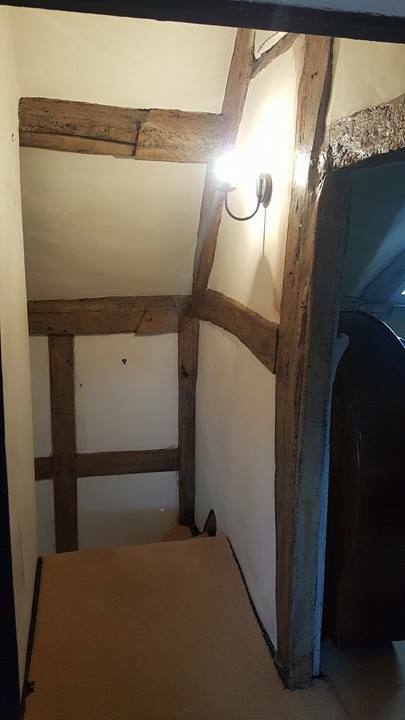 Below are before and after pictures from a job in Yockleton, Shropshire. 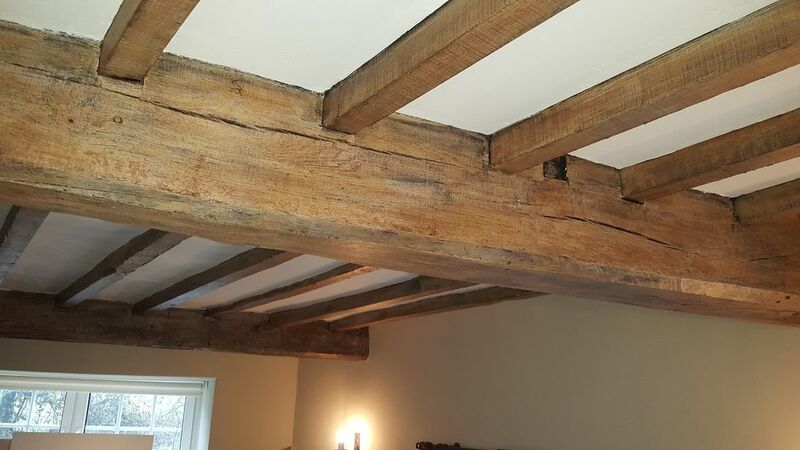 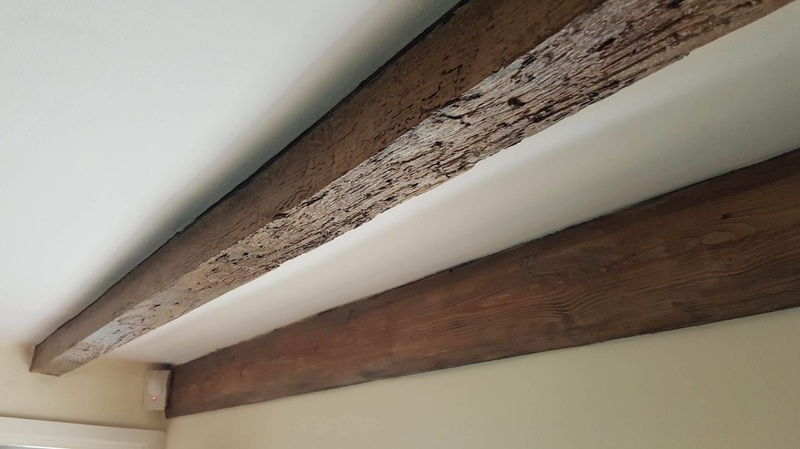 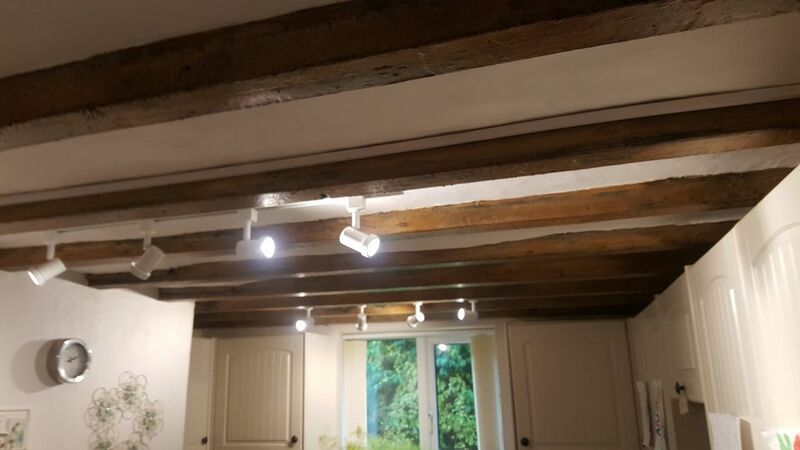 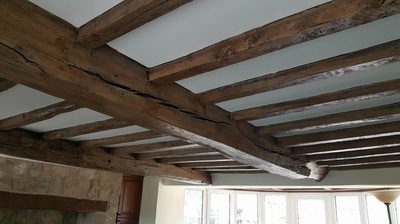 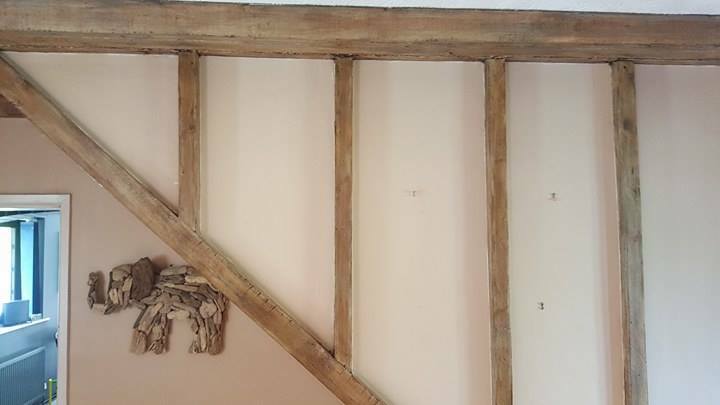 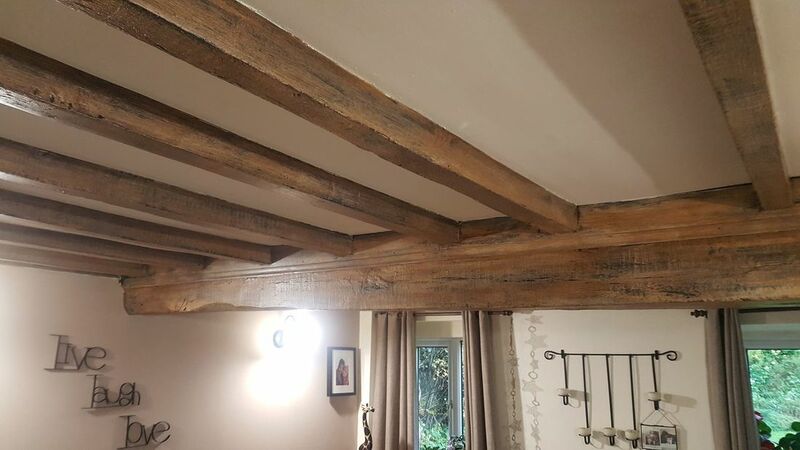 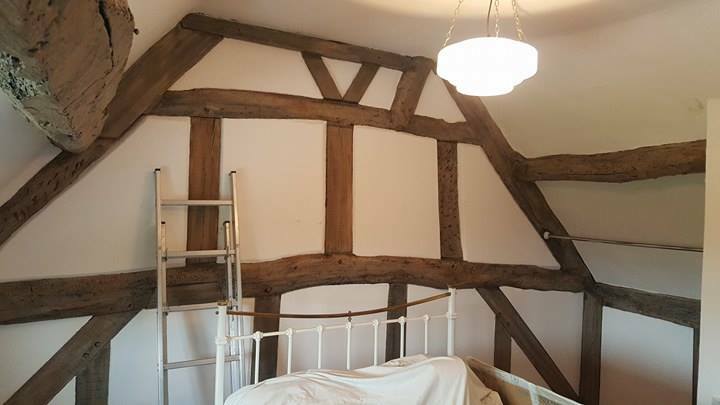 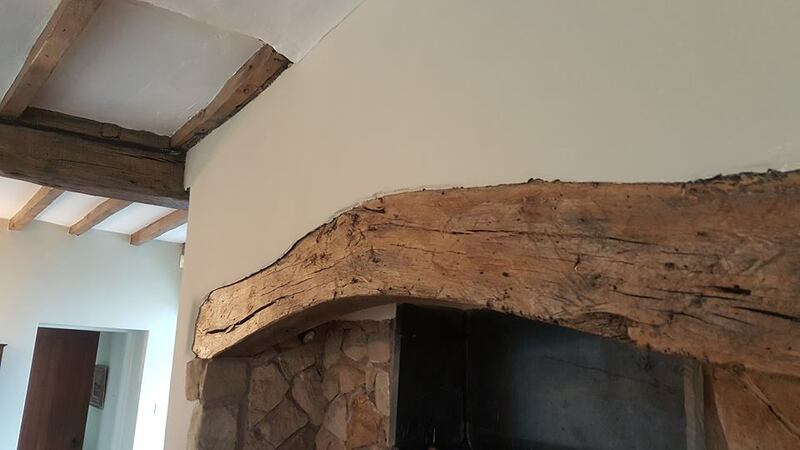 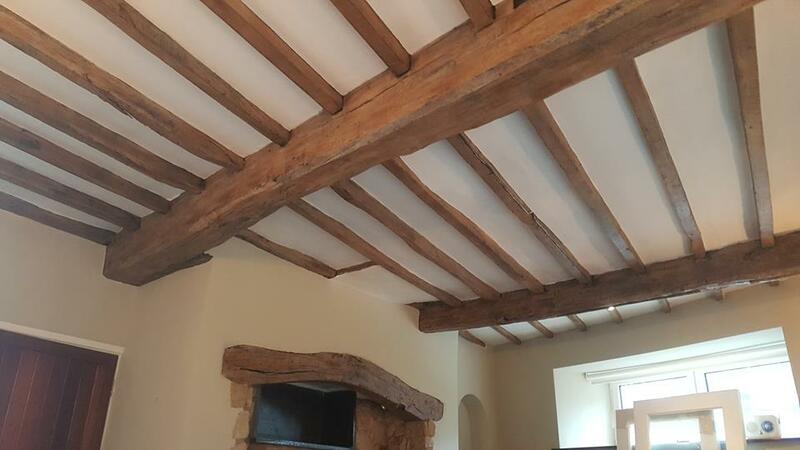 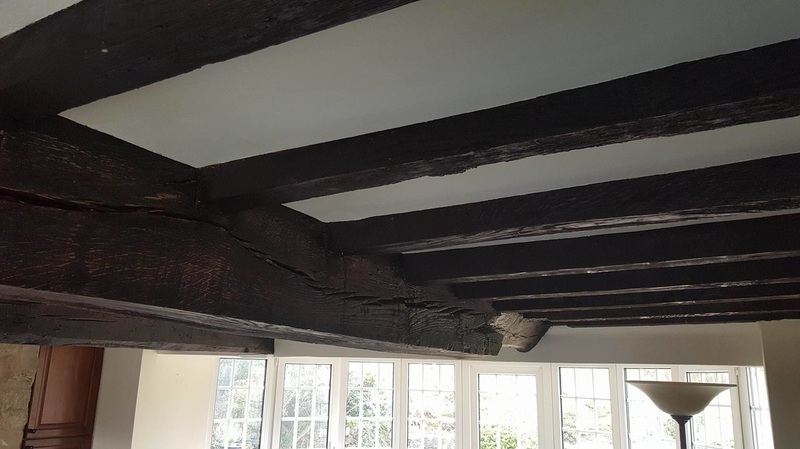 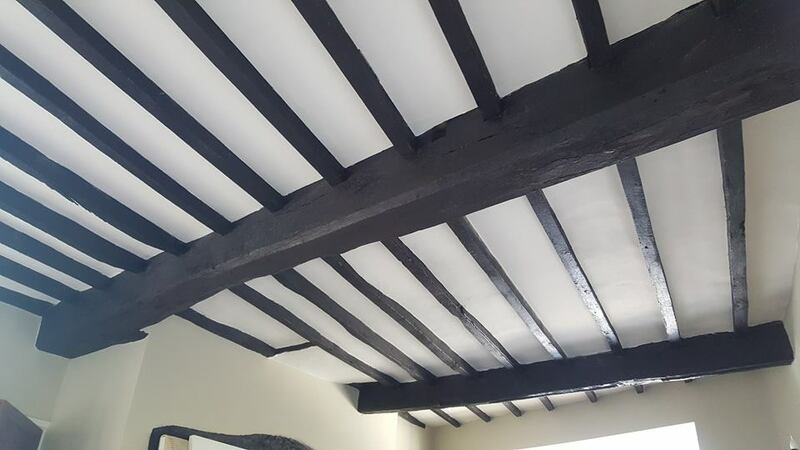 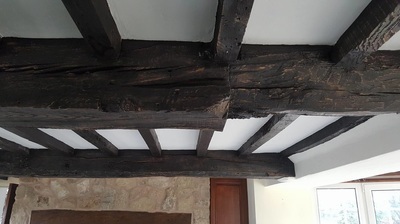 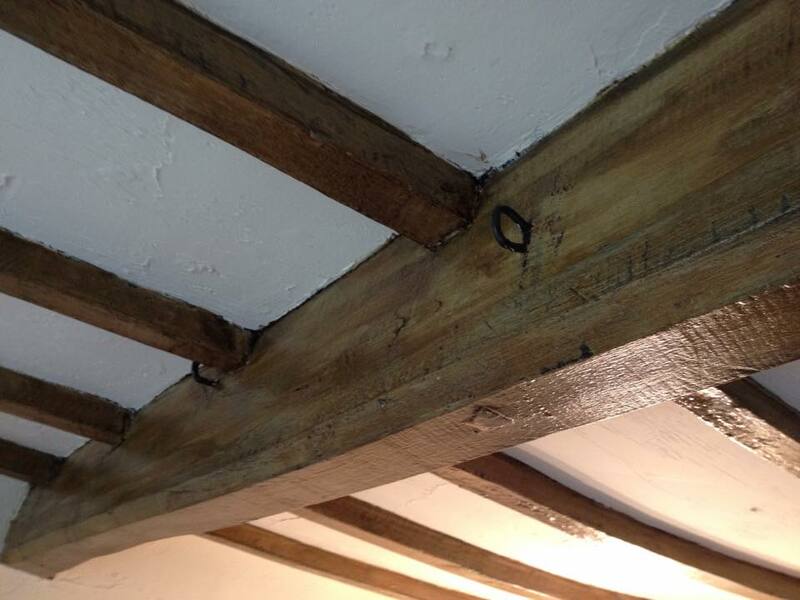 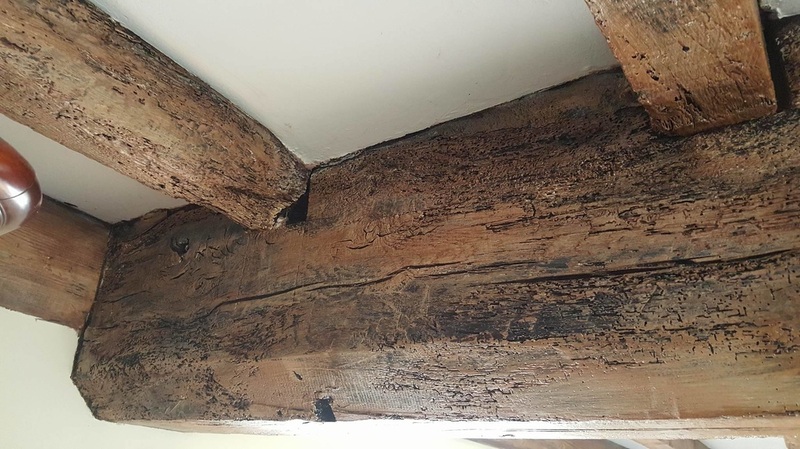 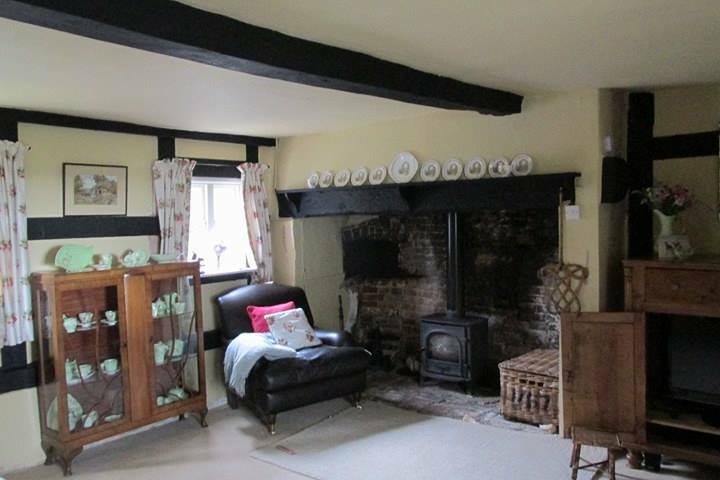 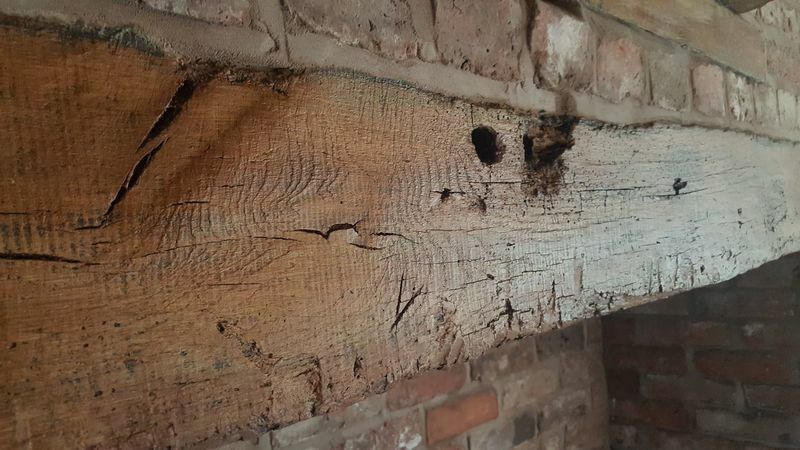 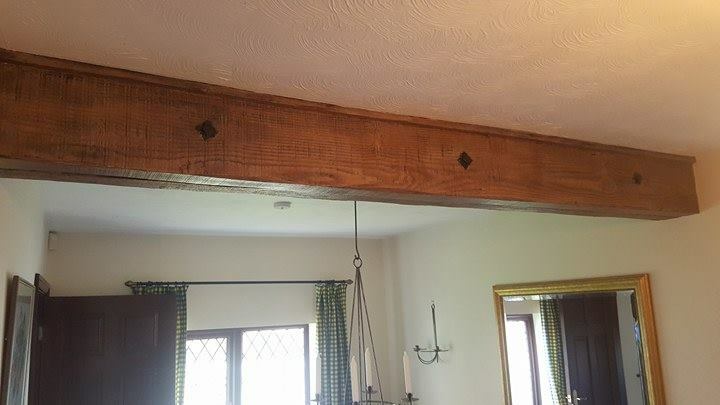 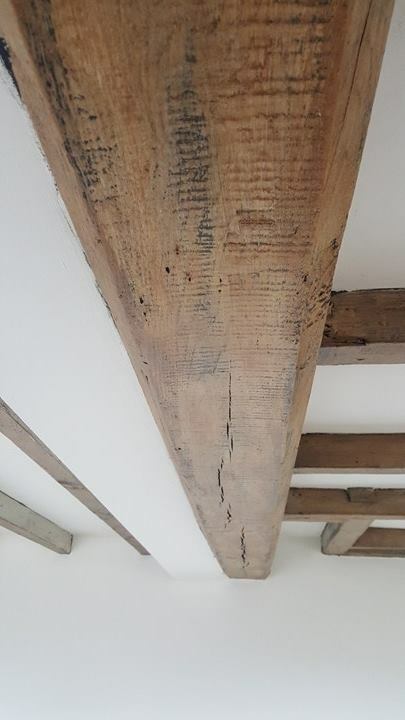 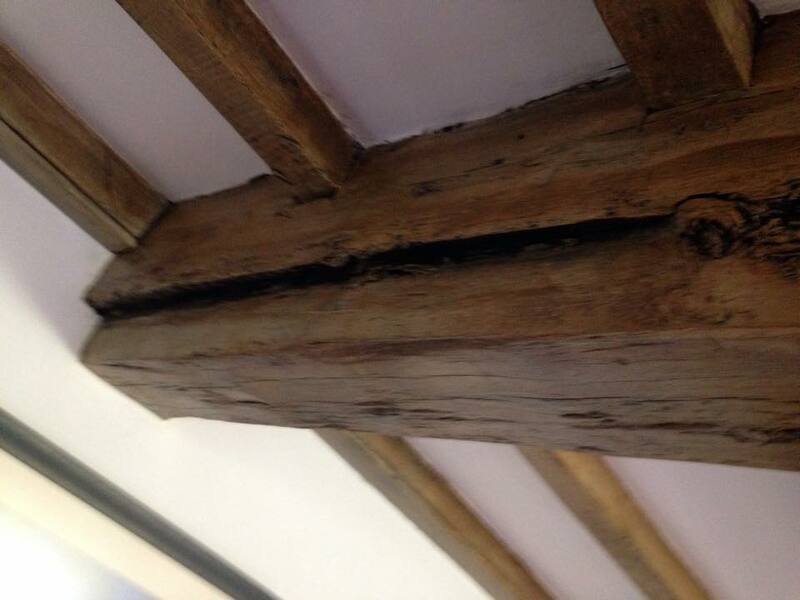 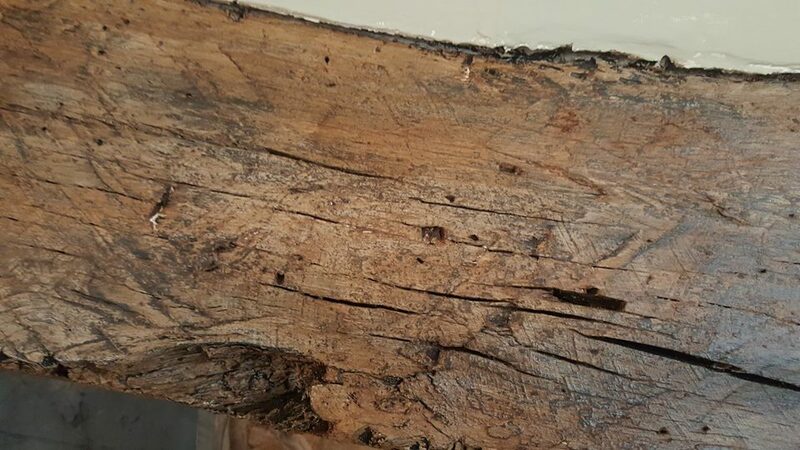 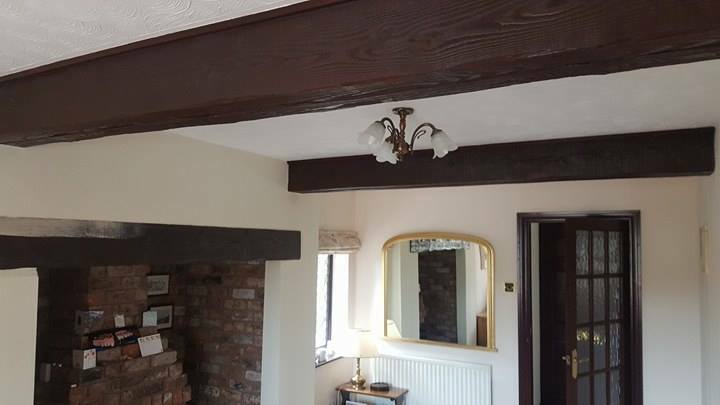 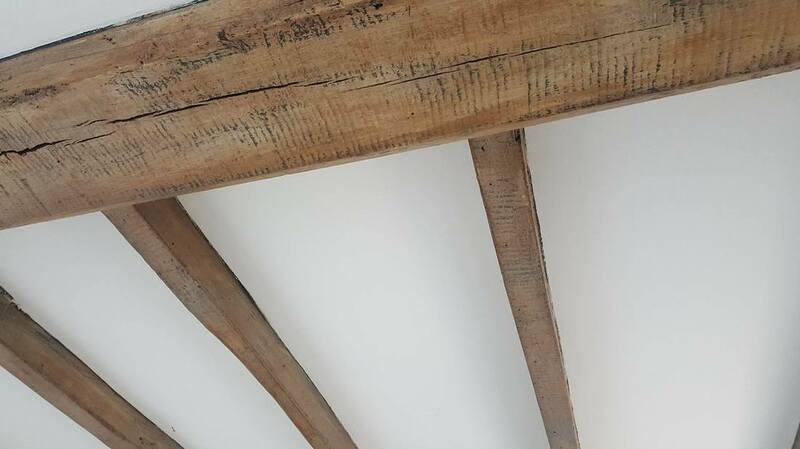 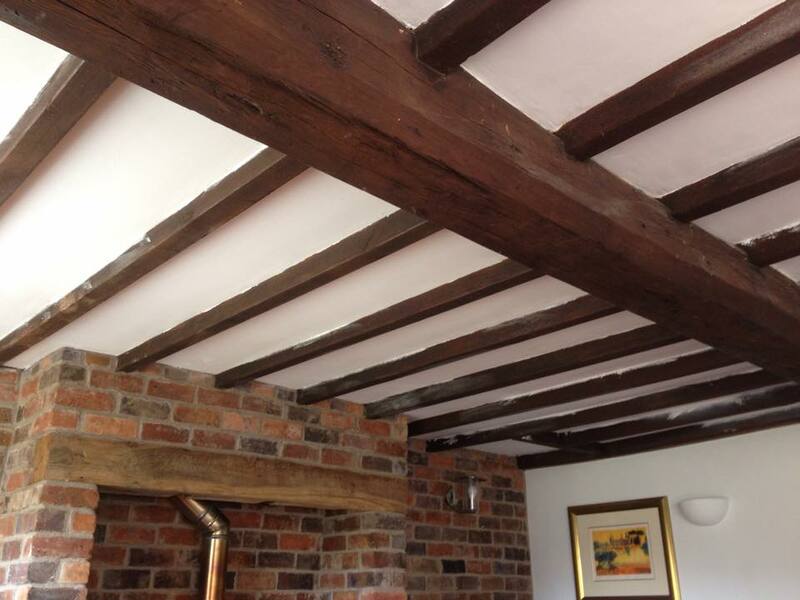 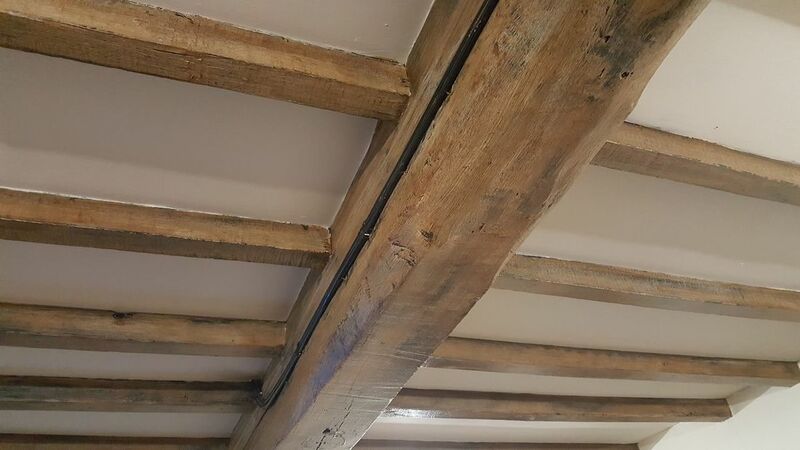 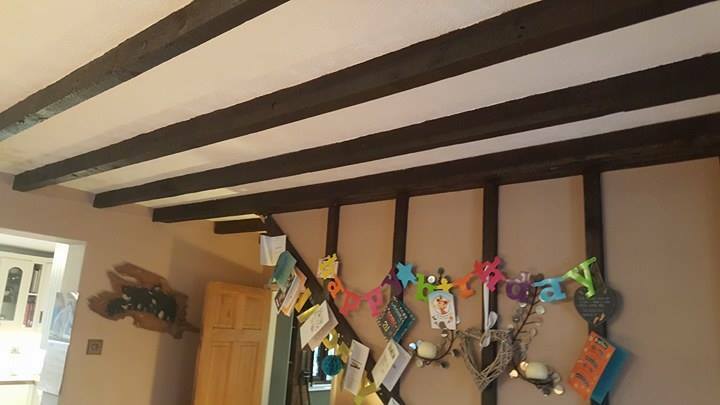 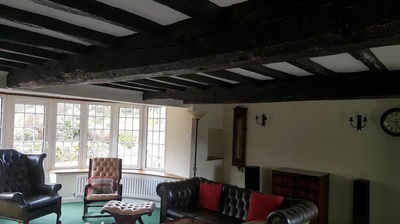 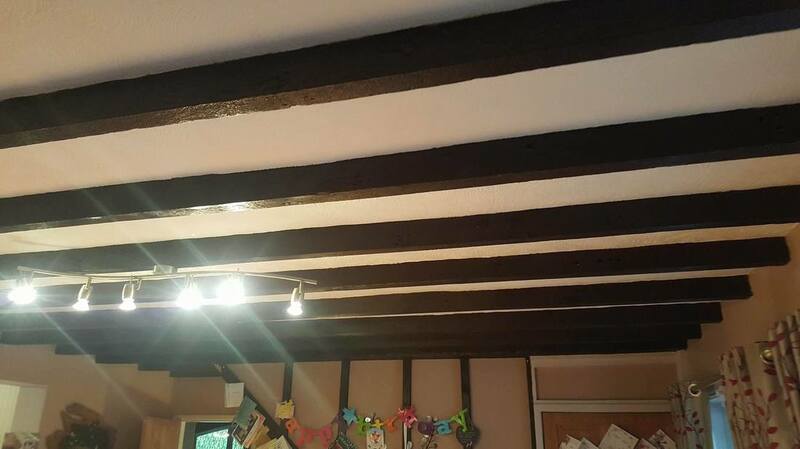 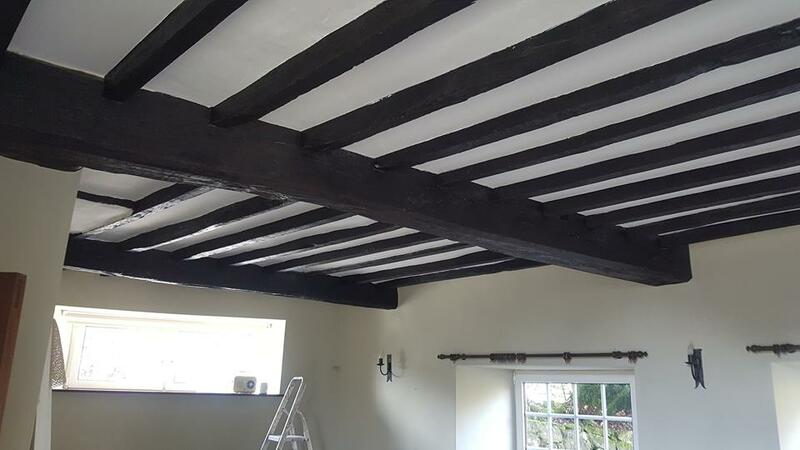 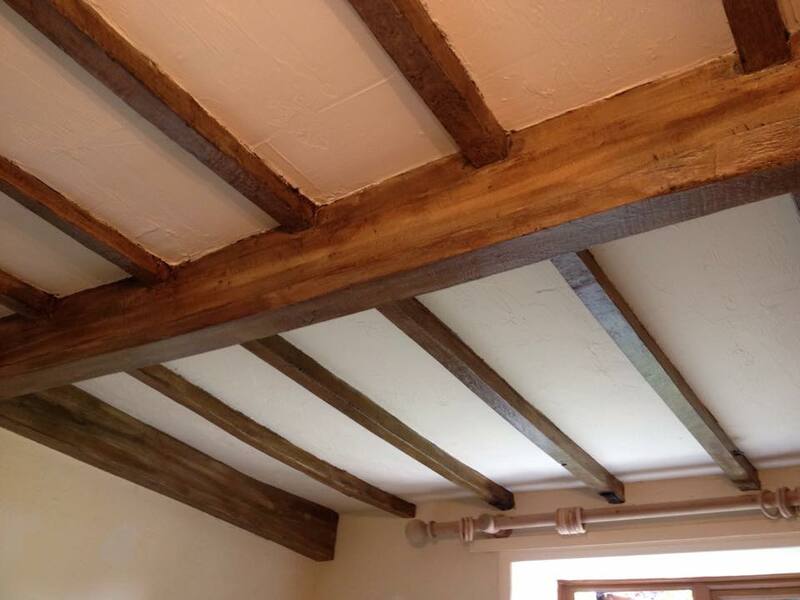 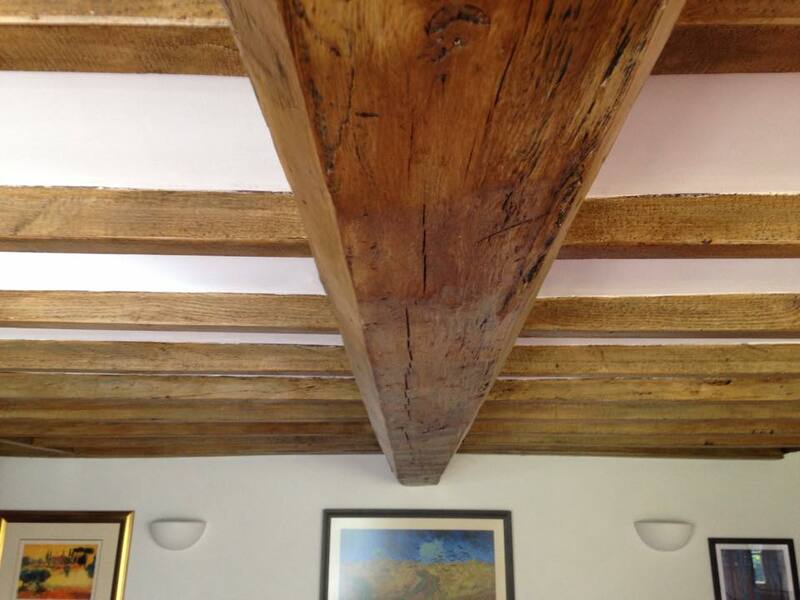 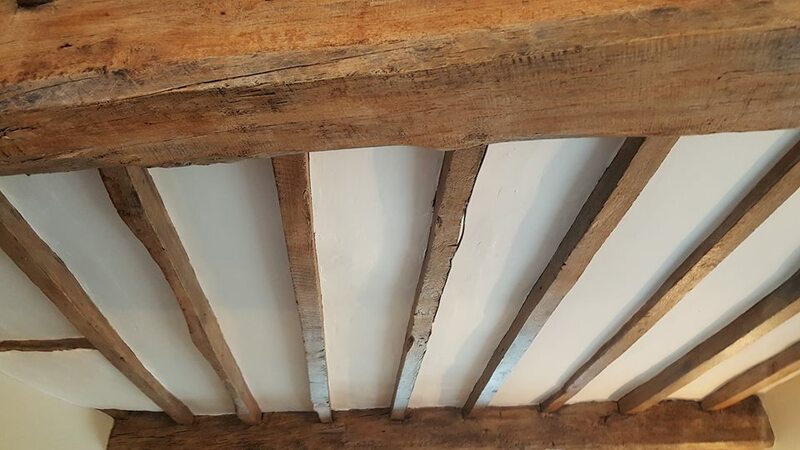 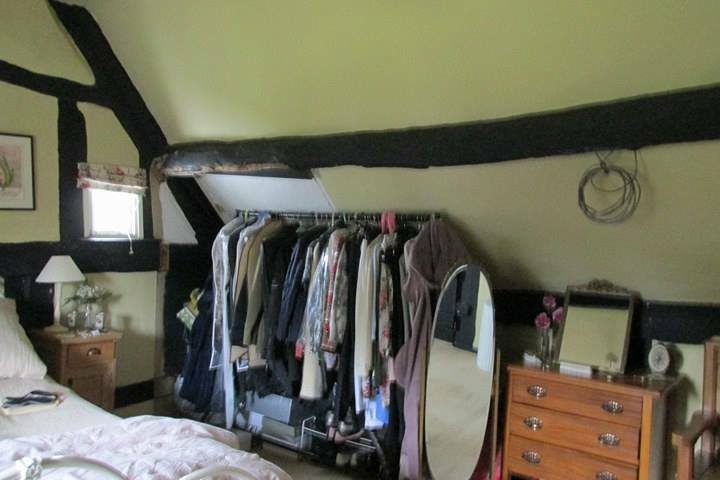 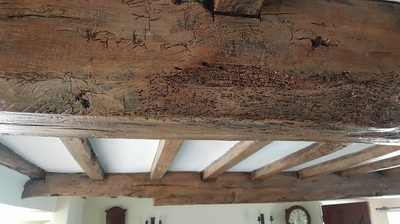 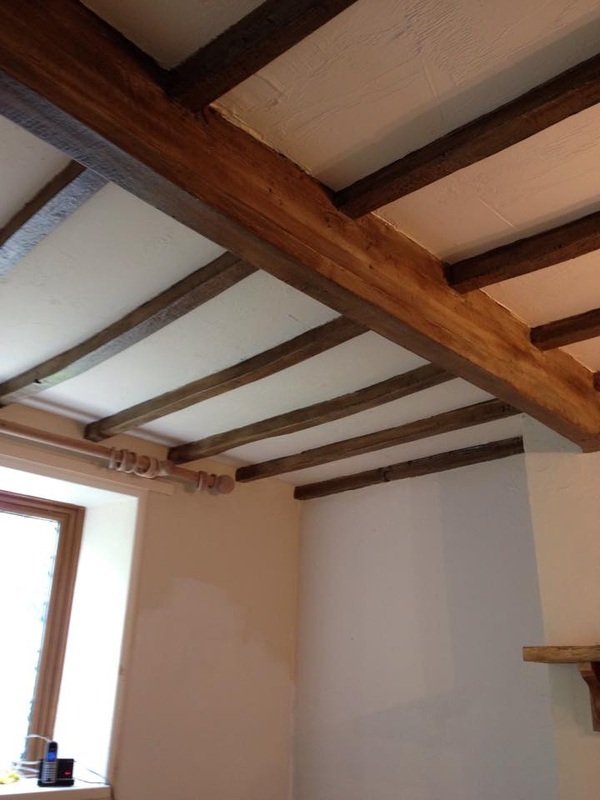 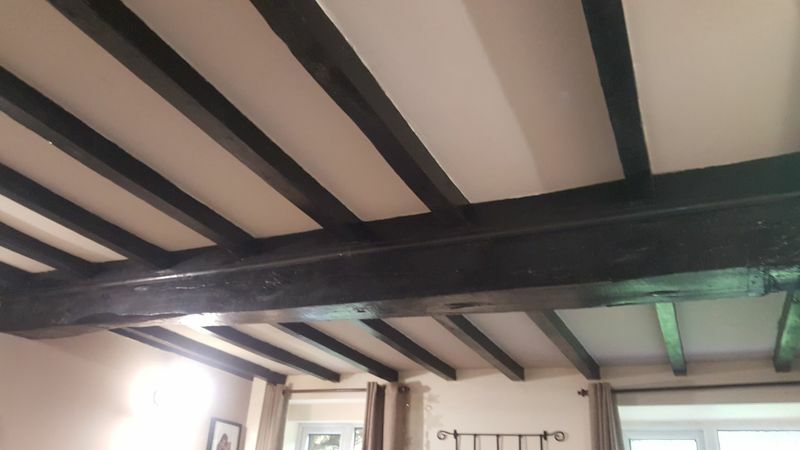 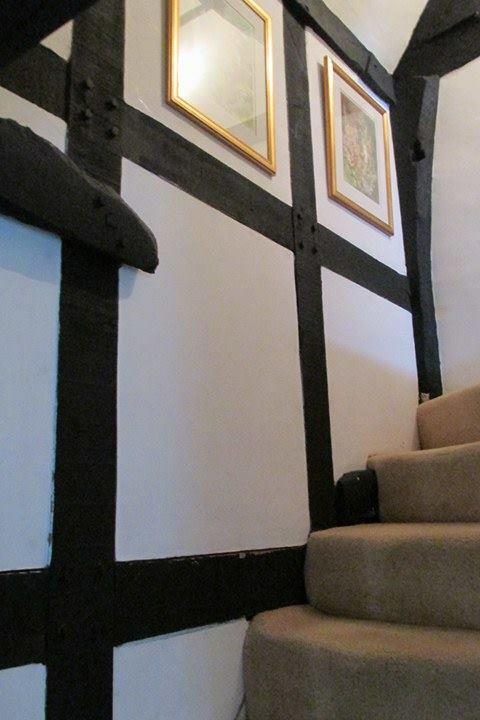 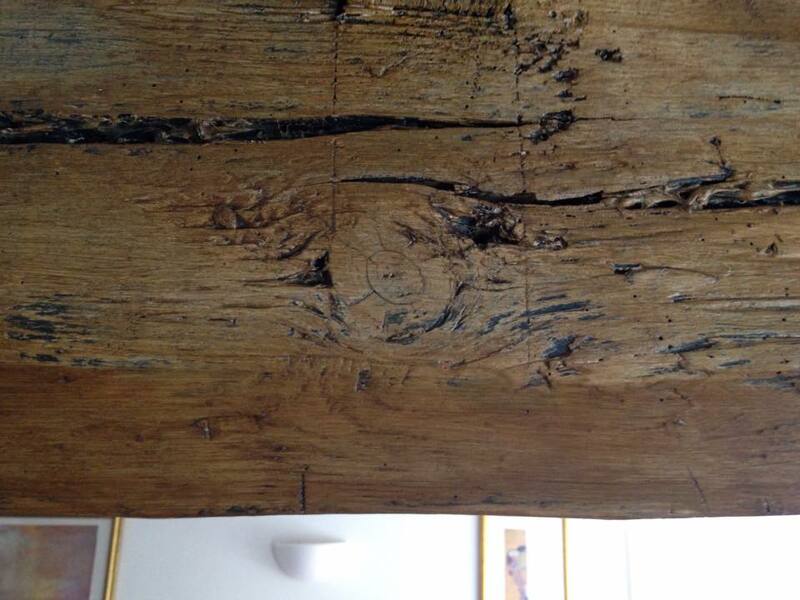 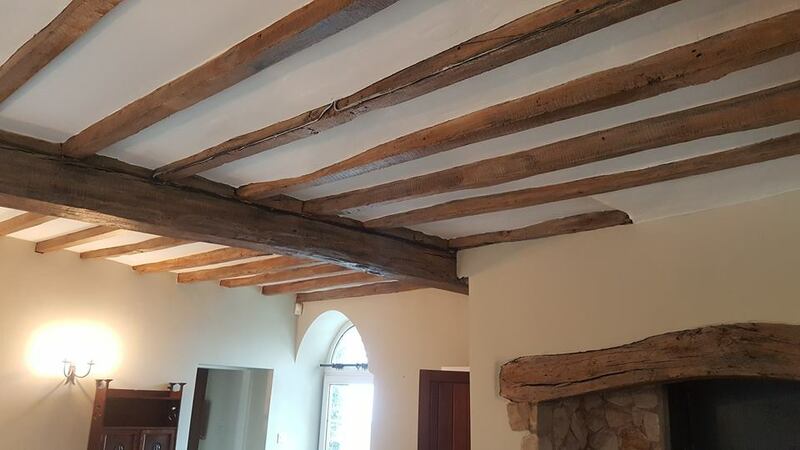 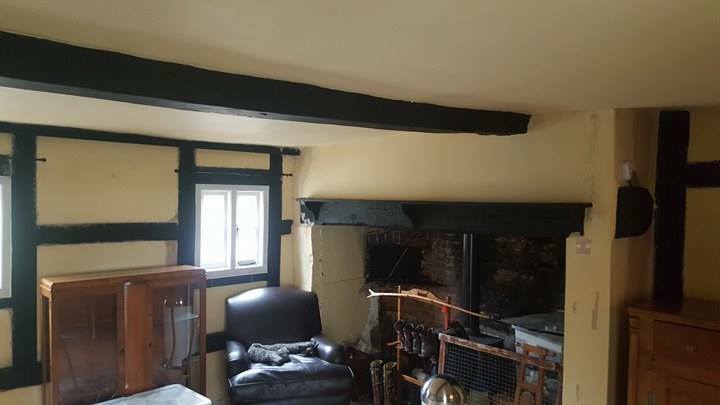 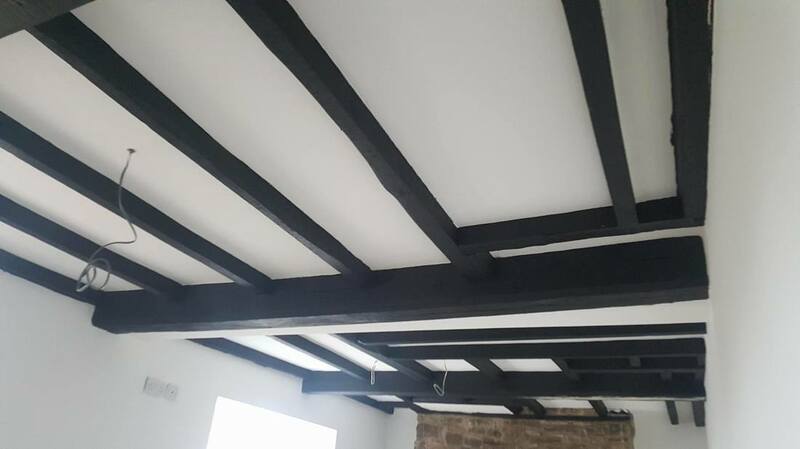 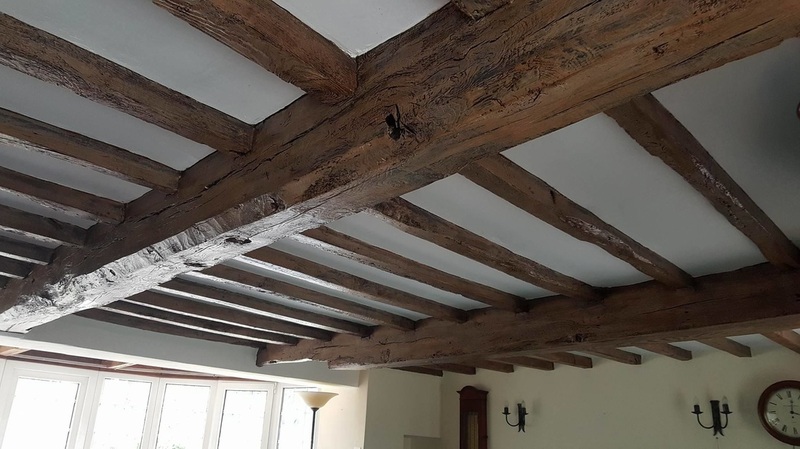 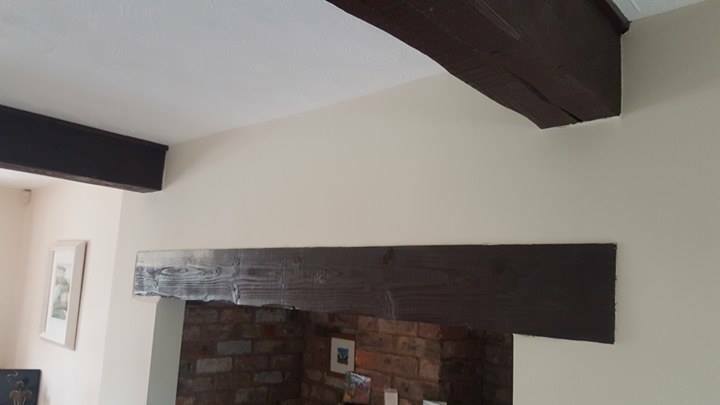 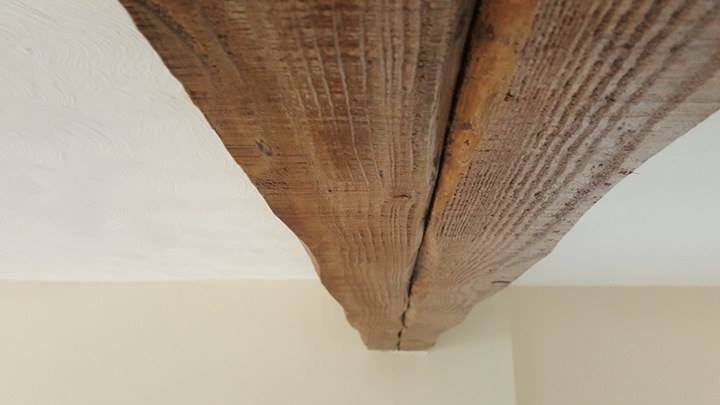 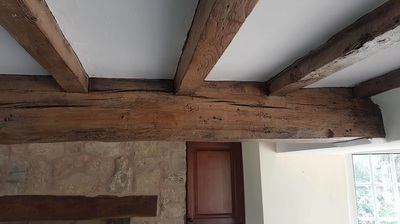 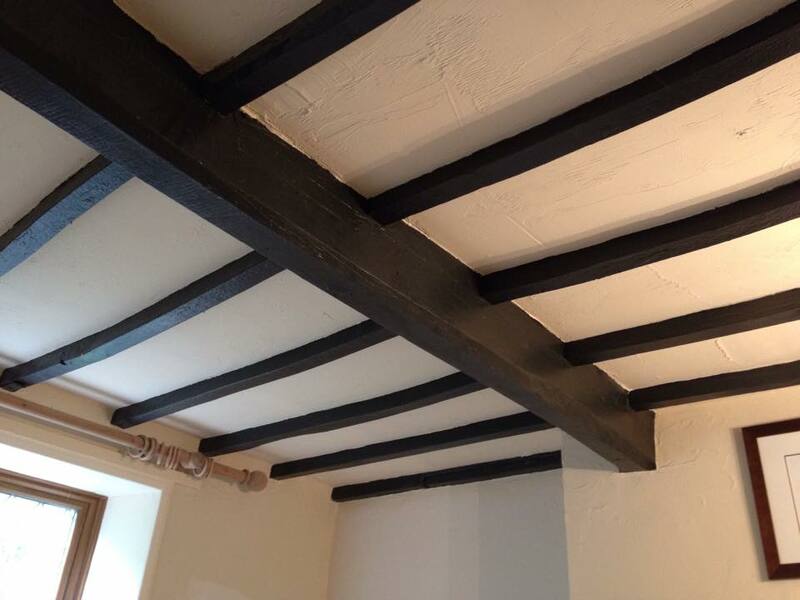 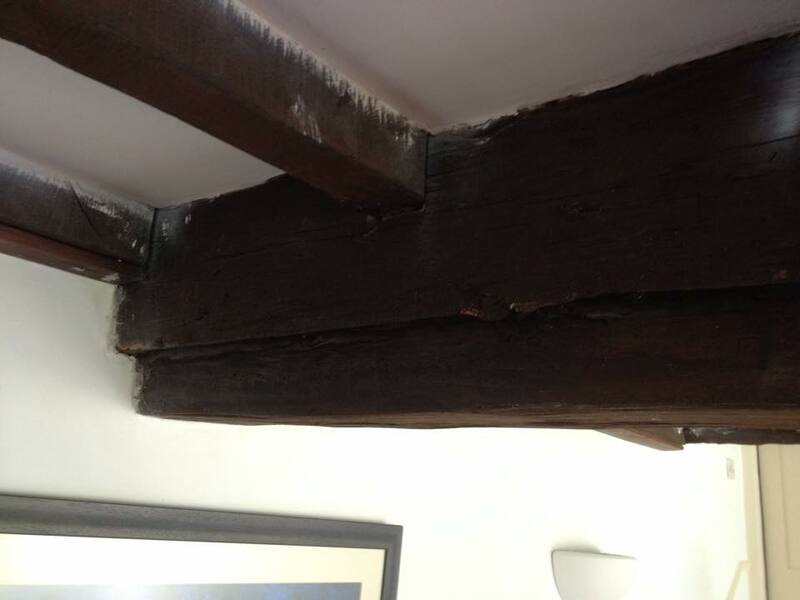 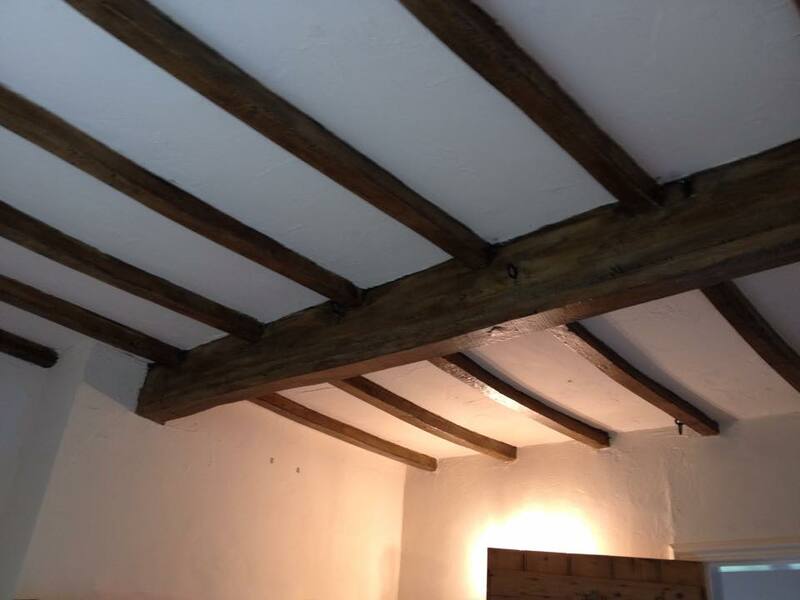 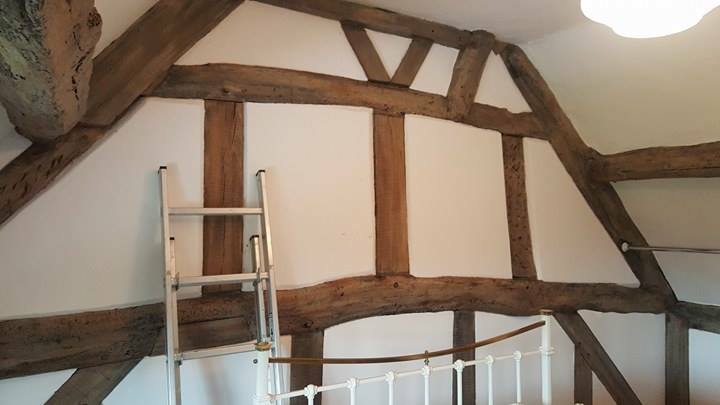 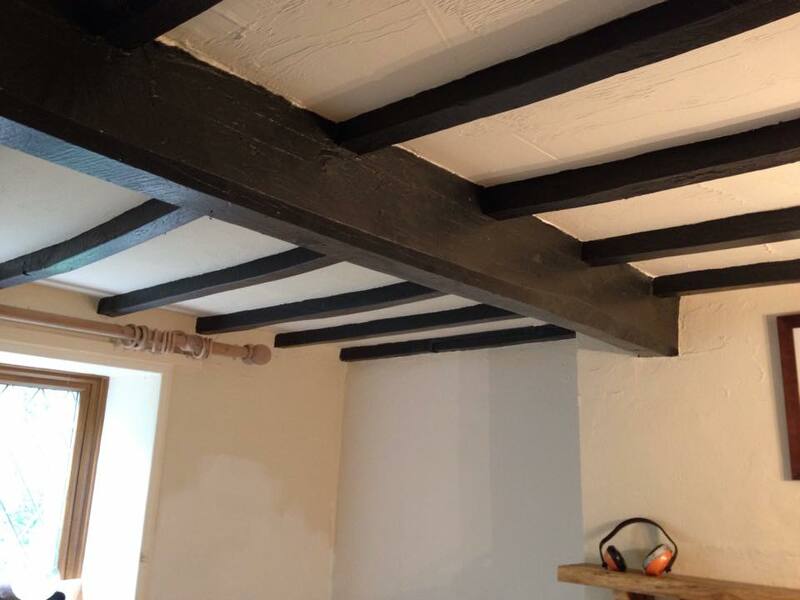 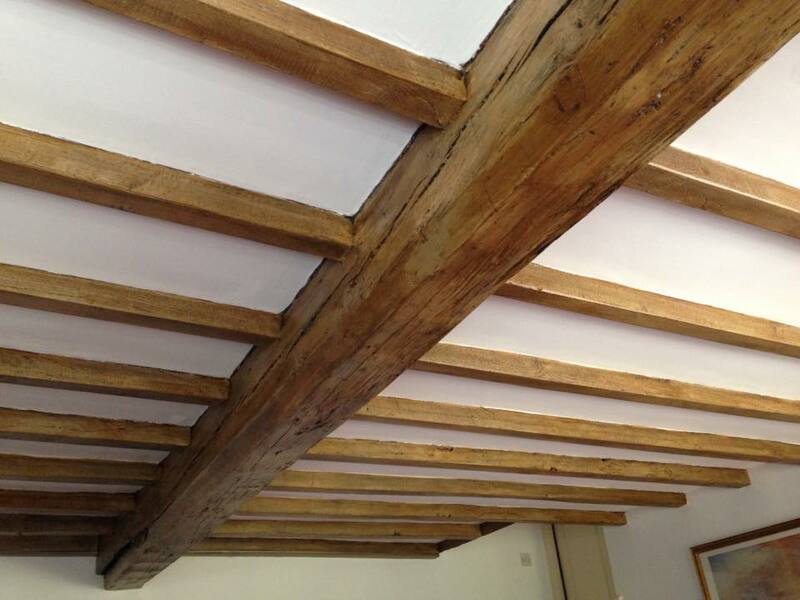 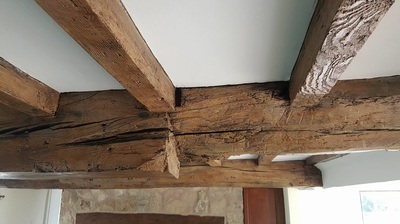 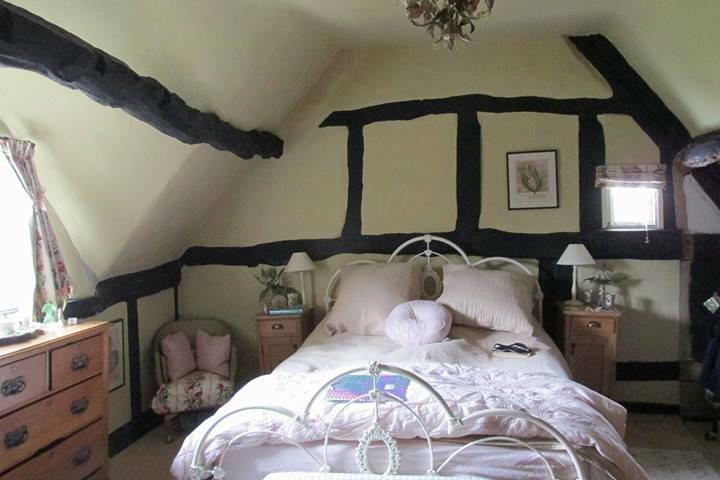 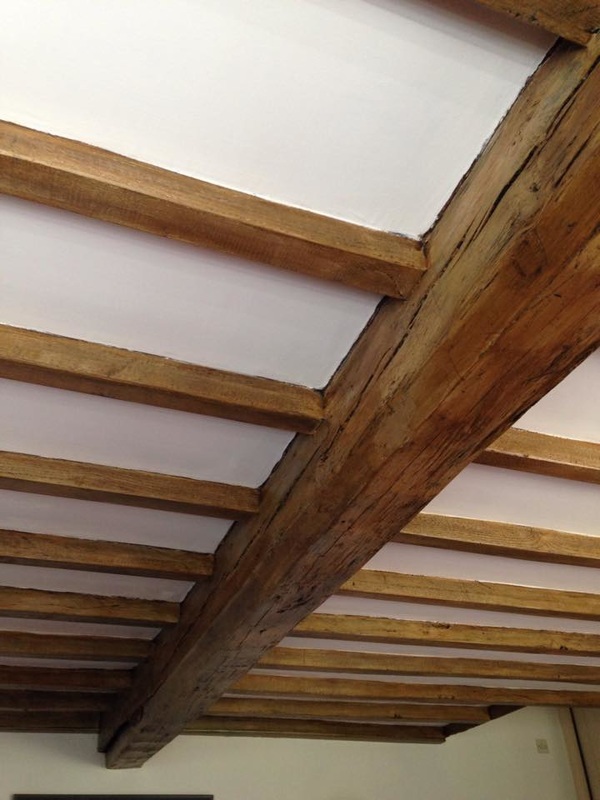 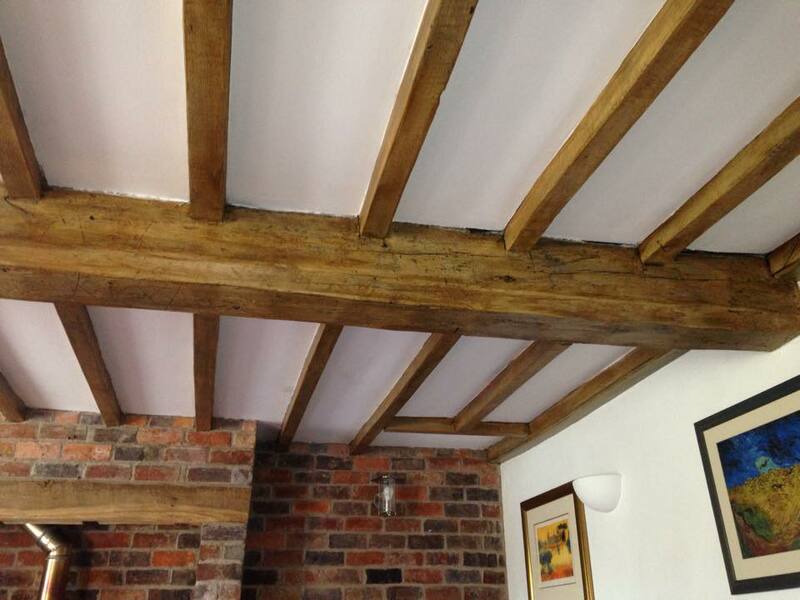 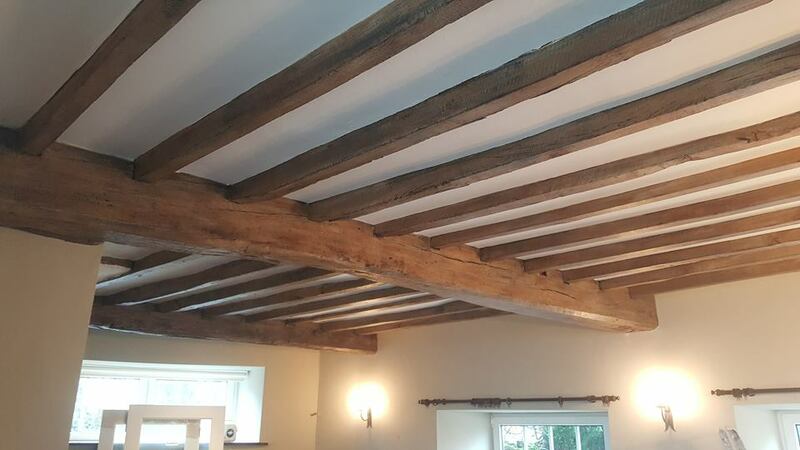 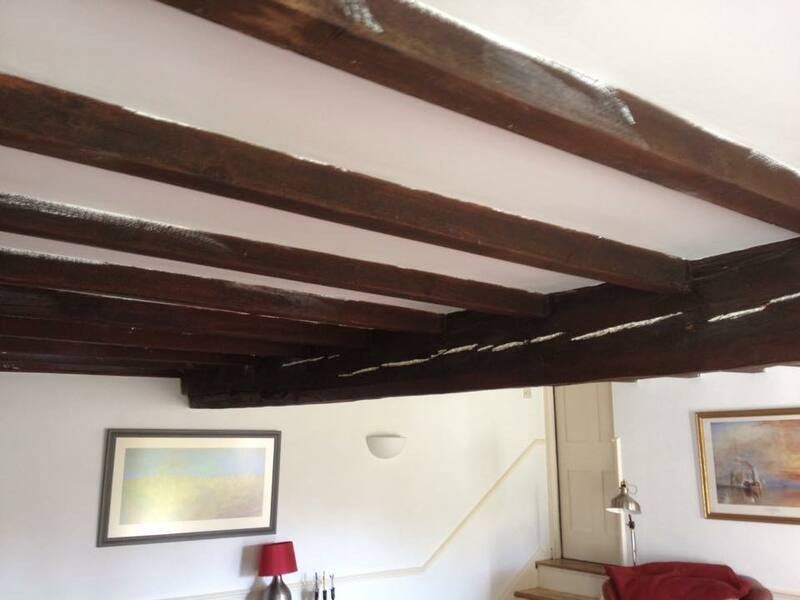 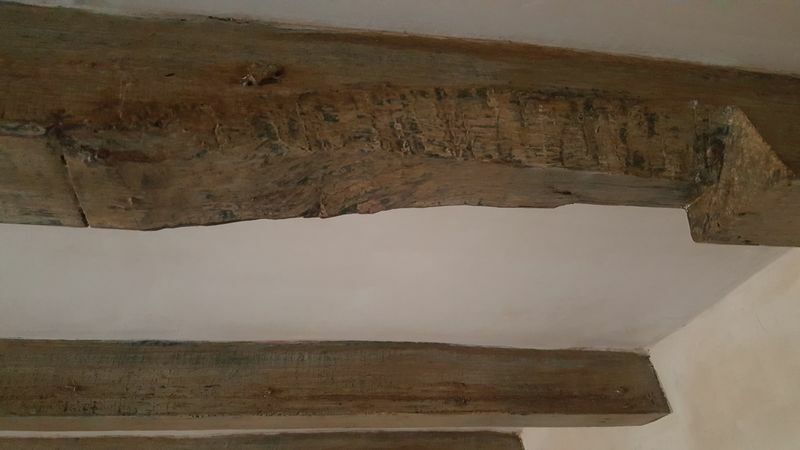 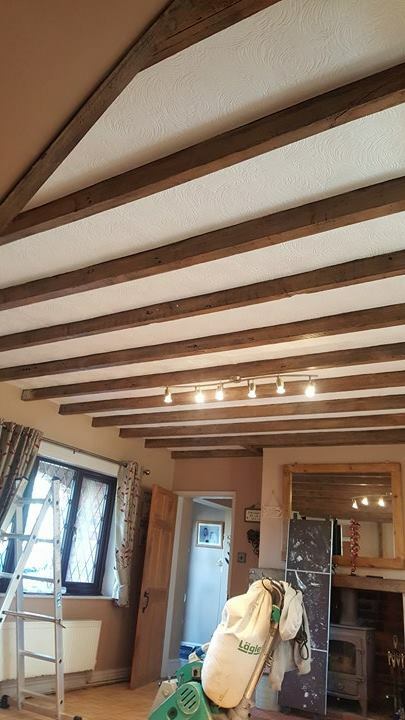 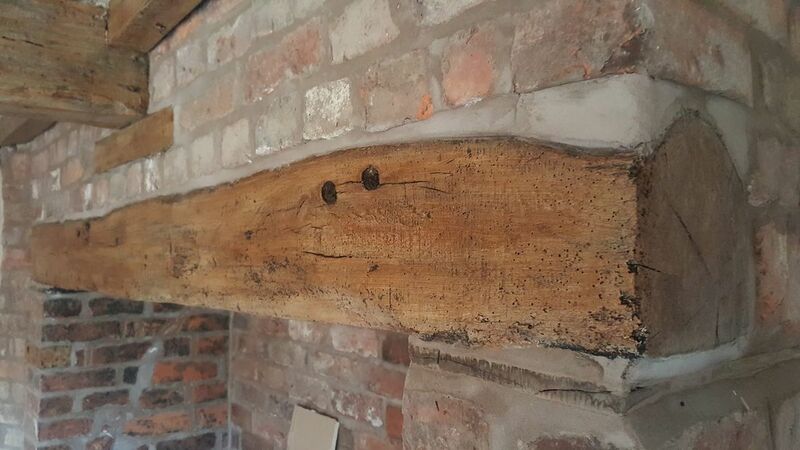 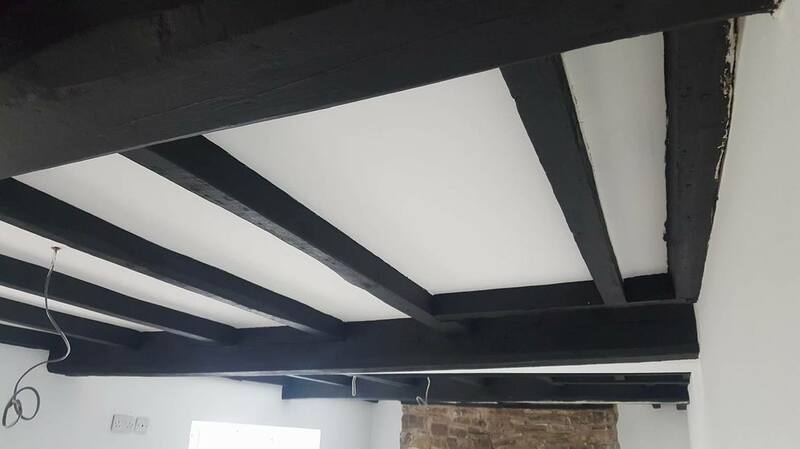 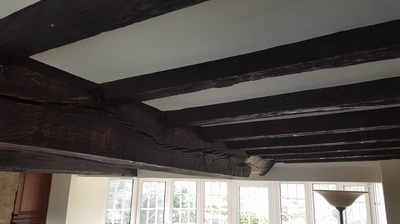 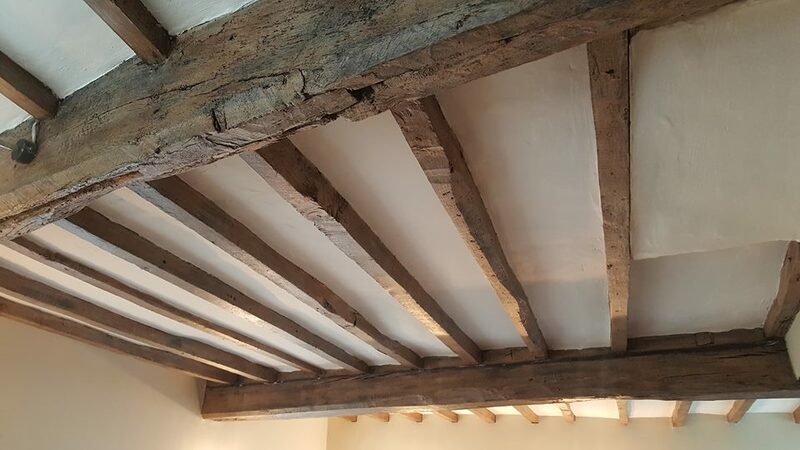 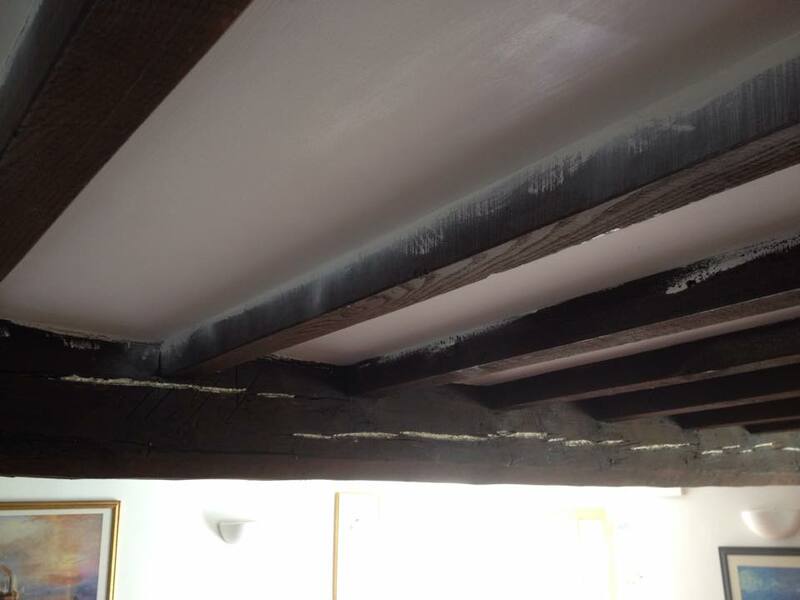 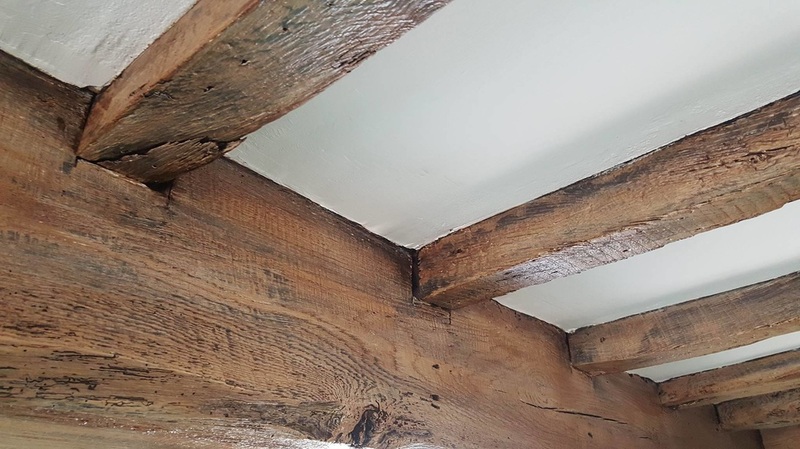 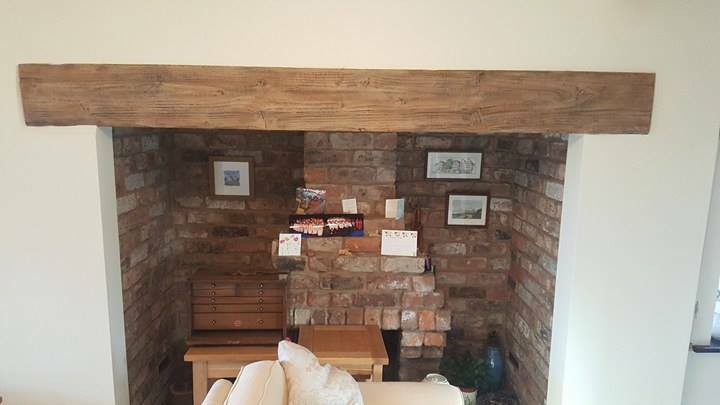 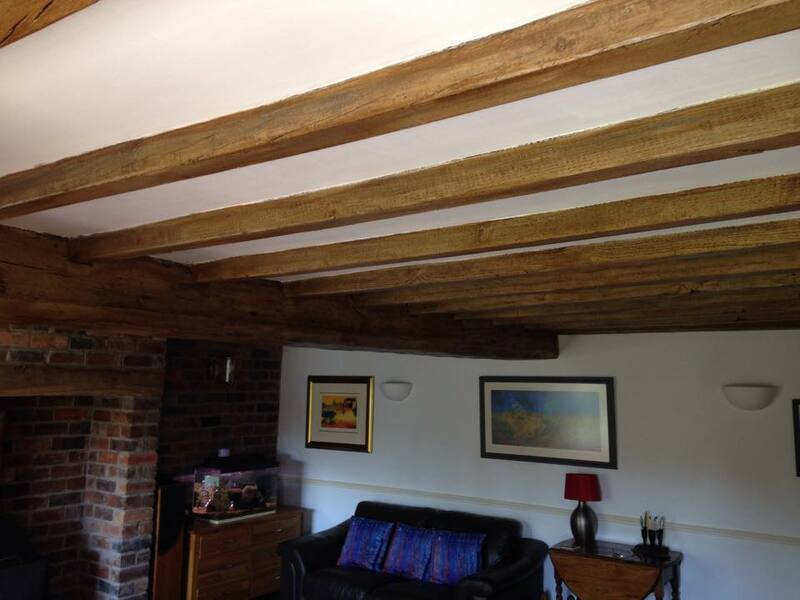 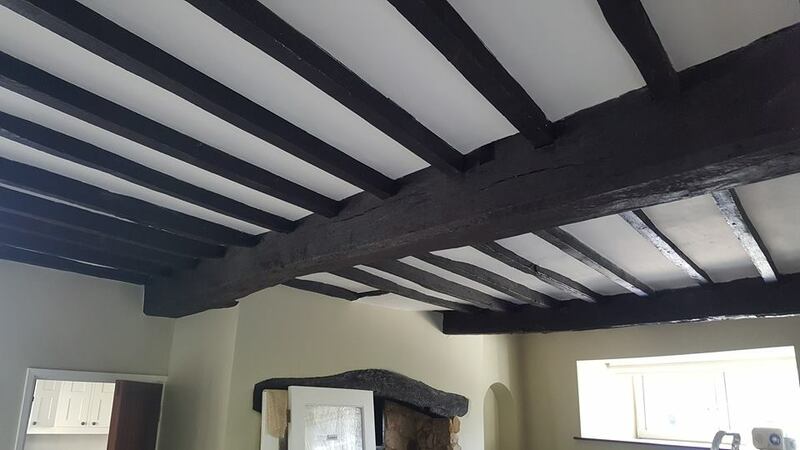 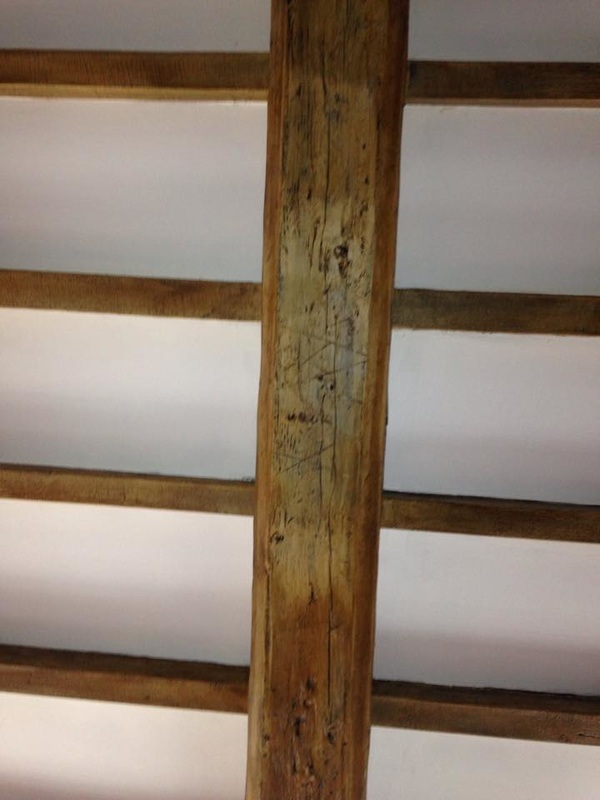 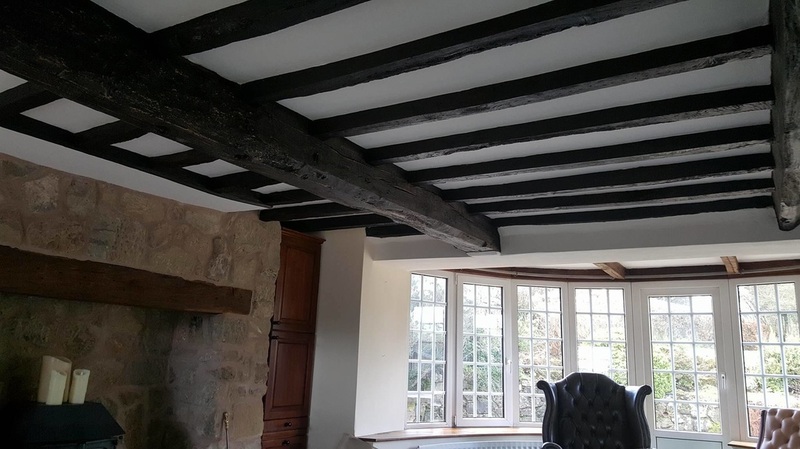 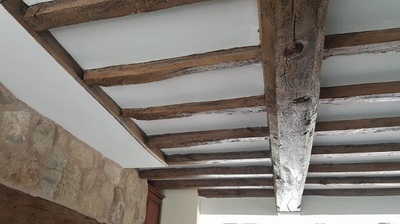 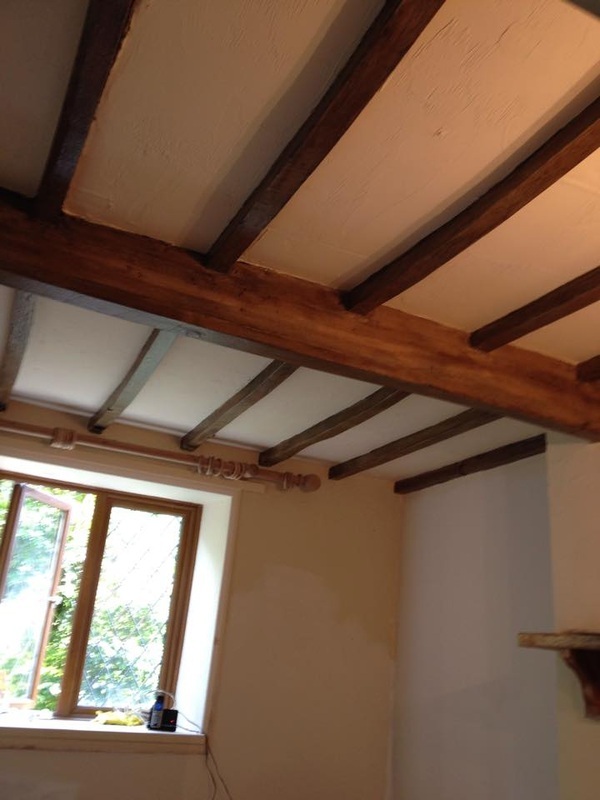 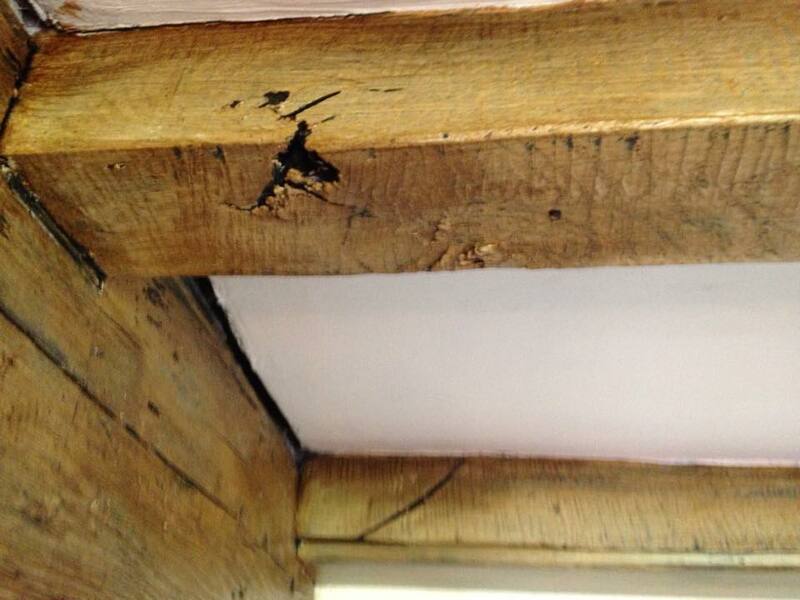 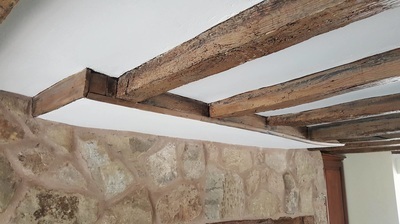 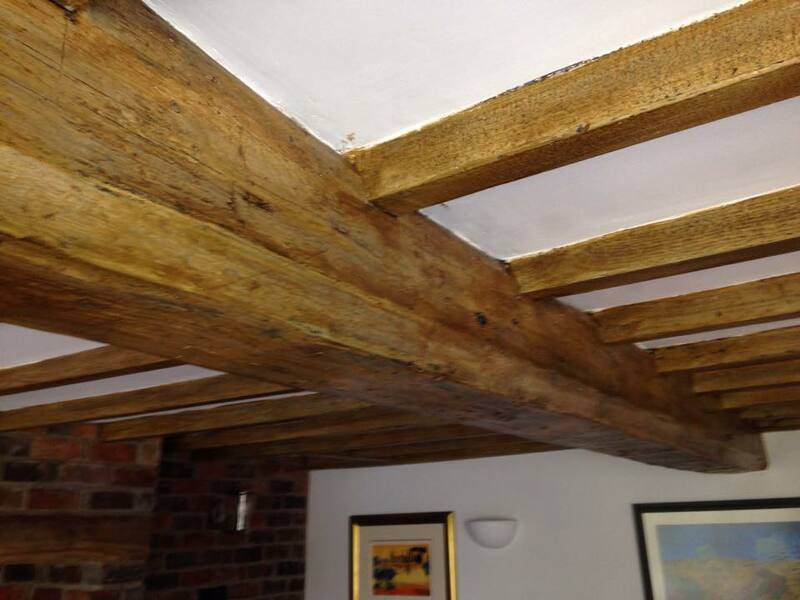 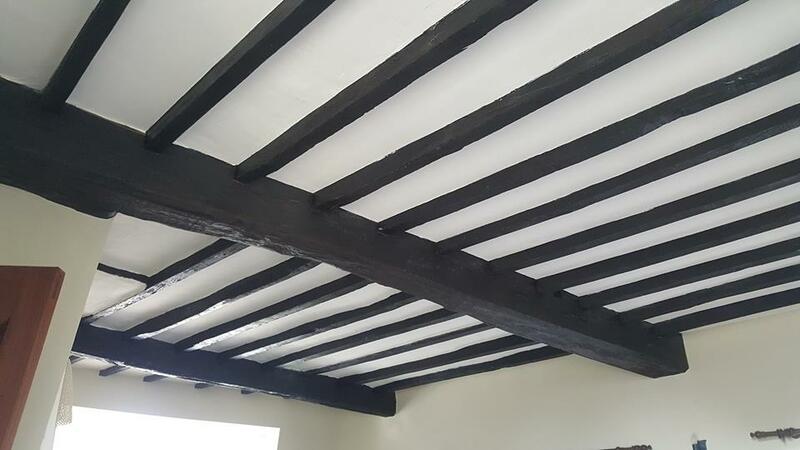 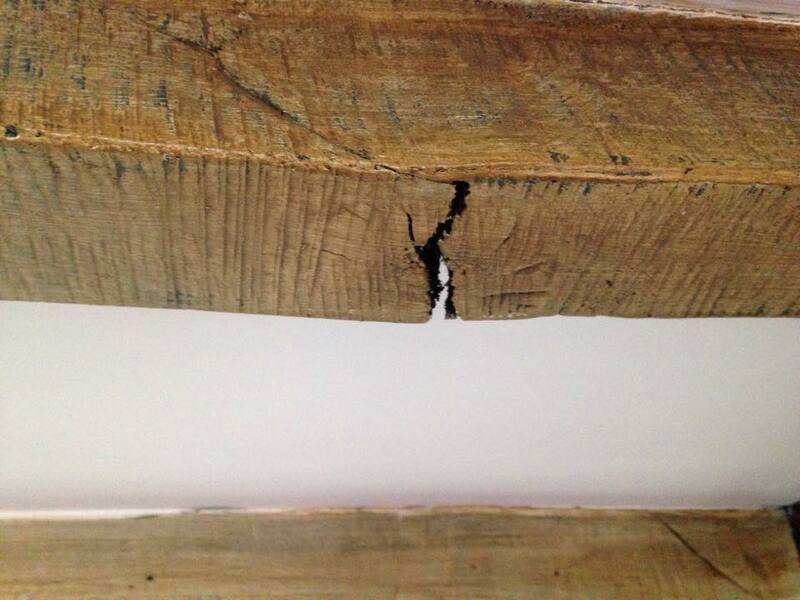 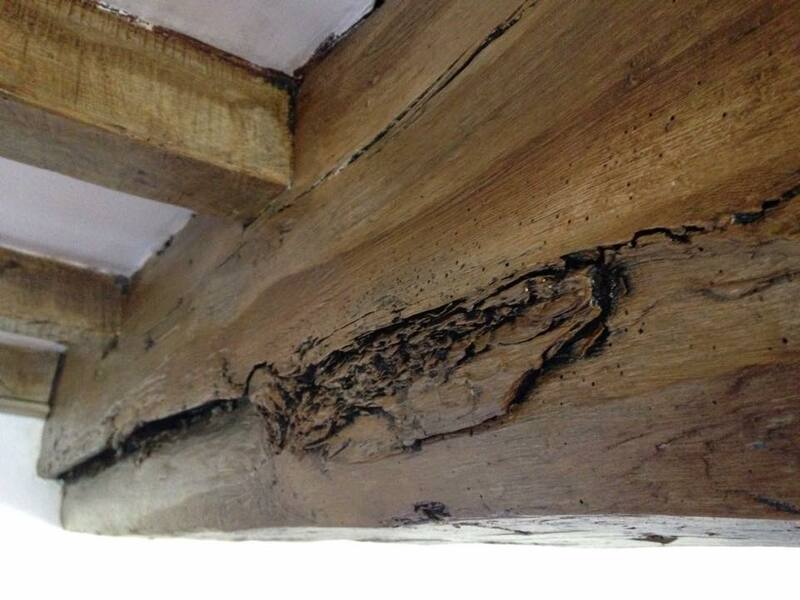 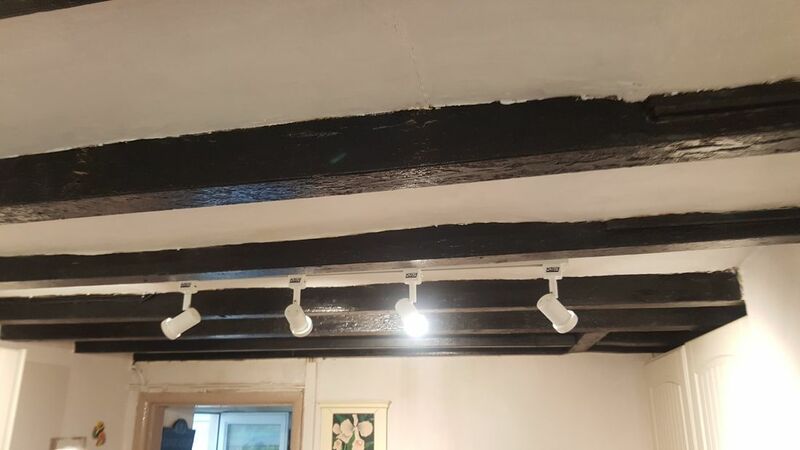 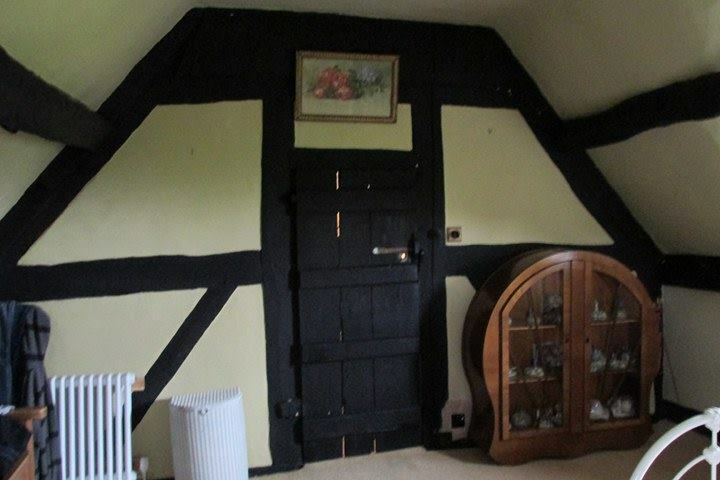 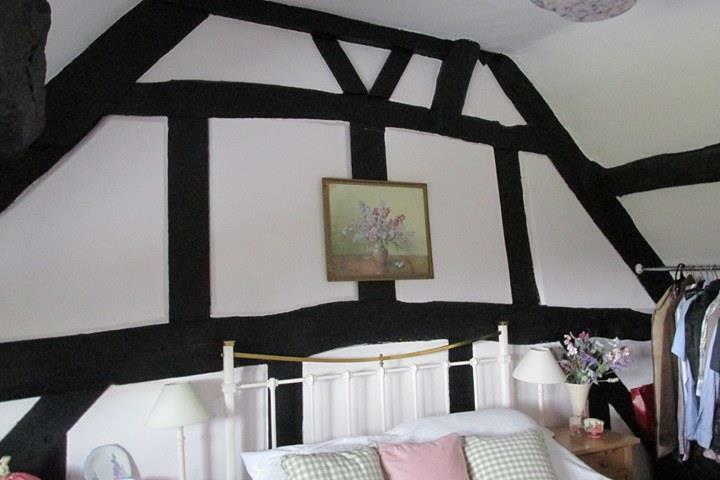 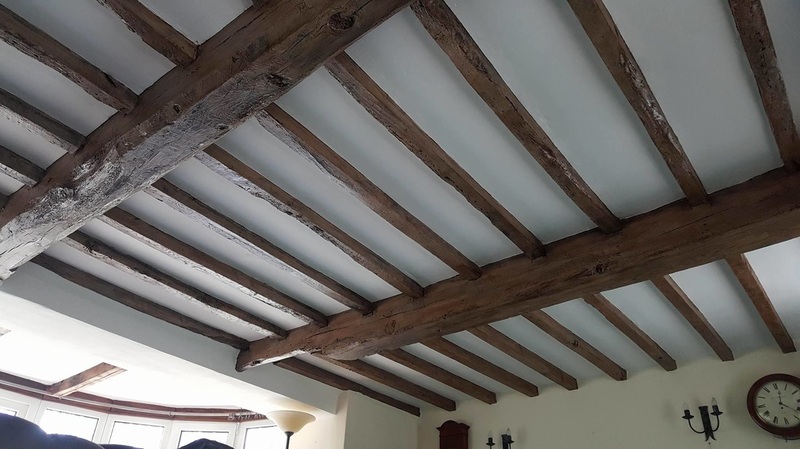 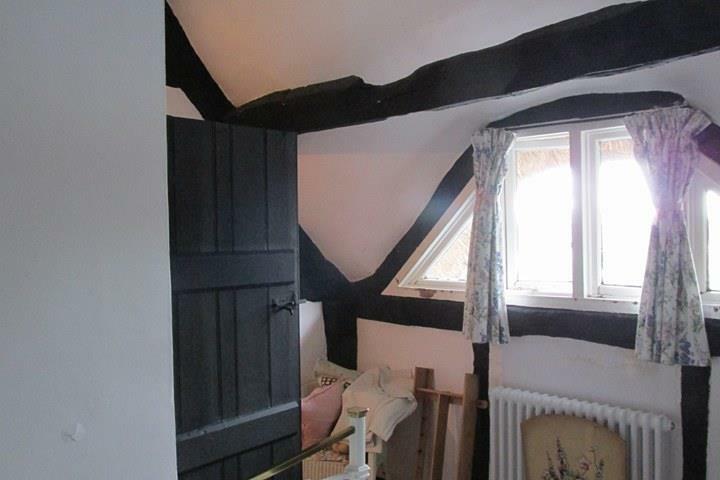 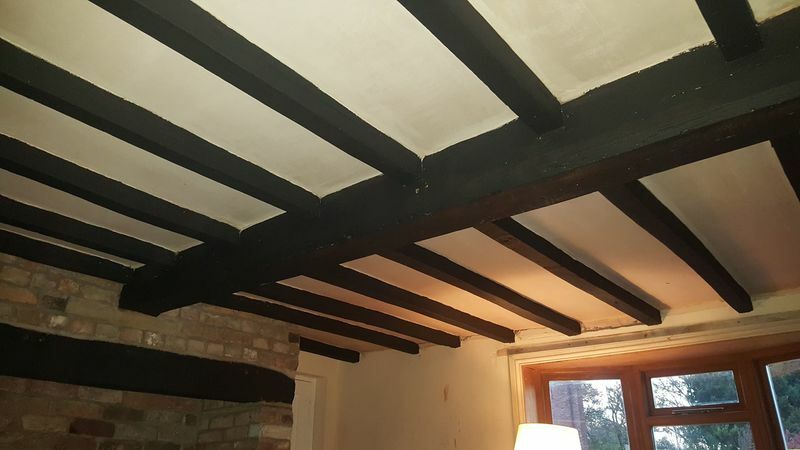 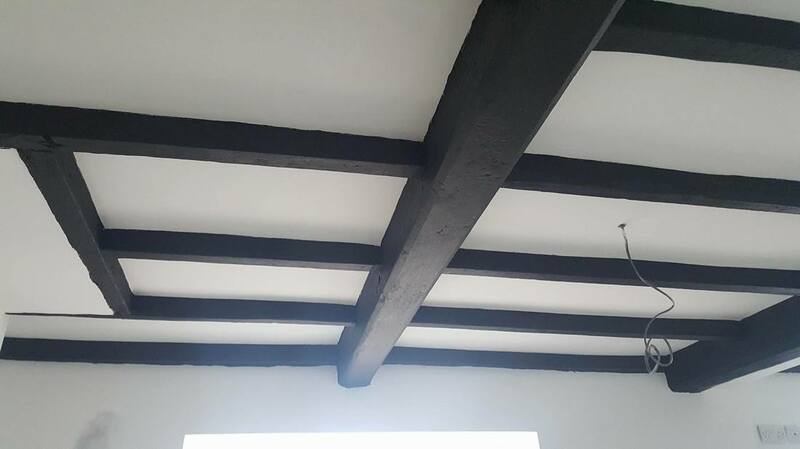 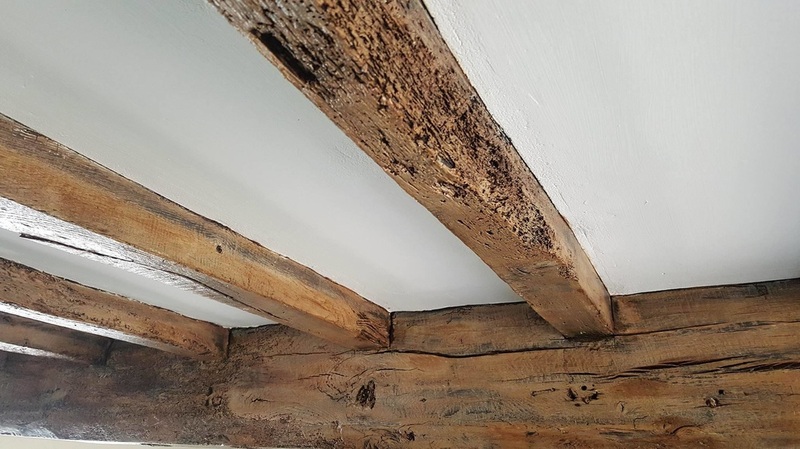 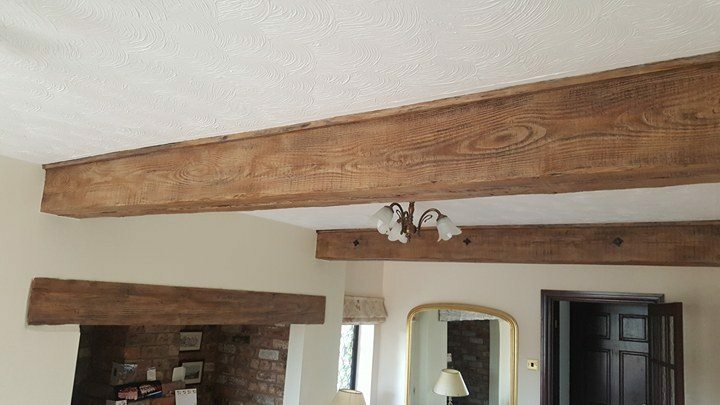 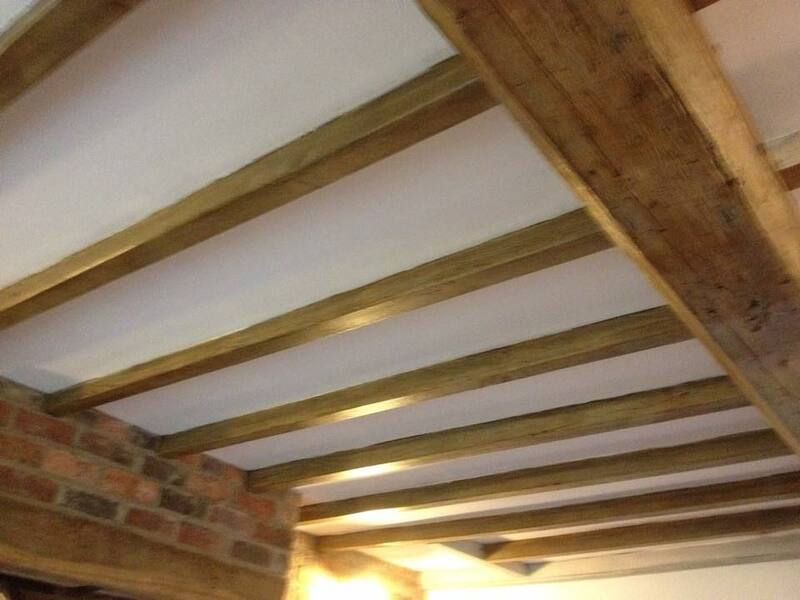 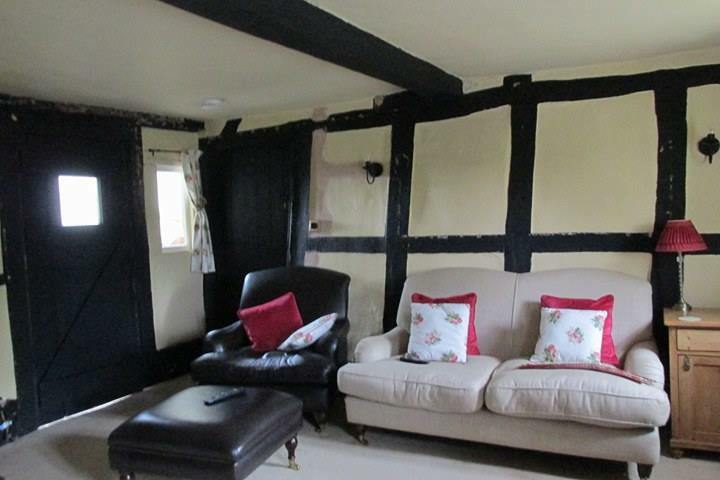 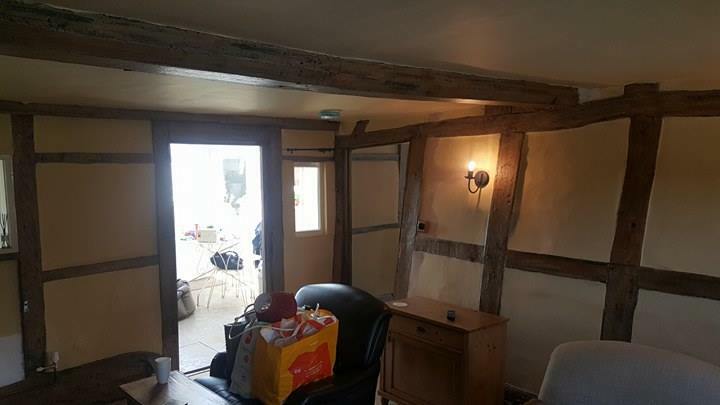 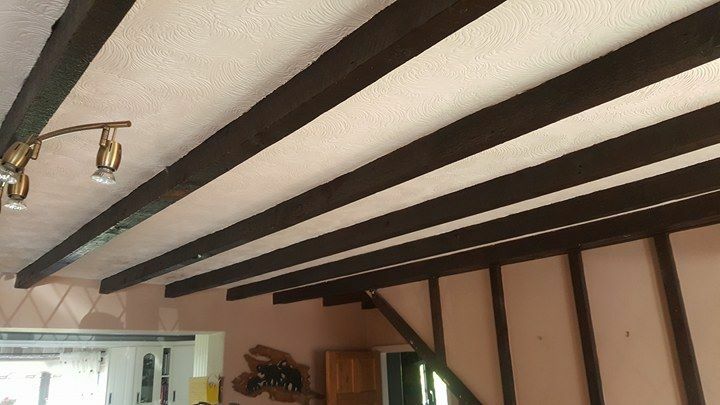 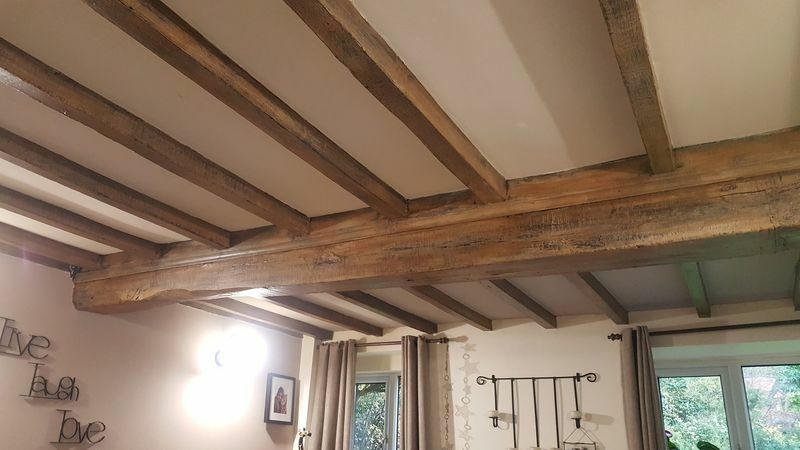 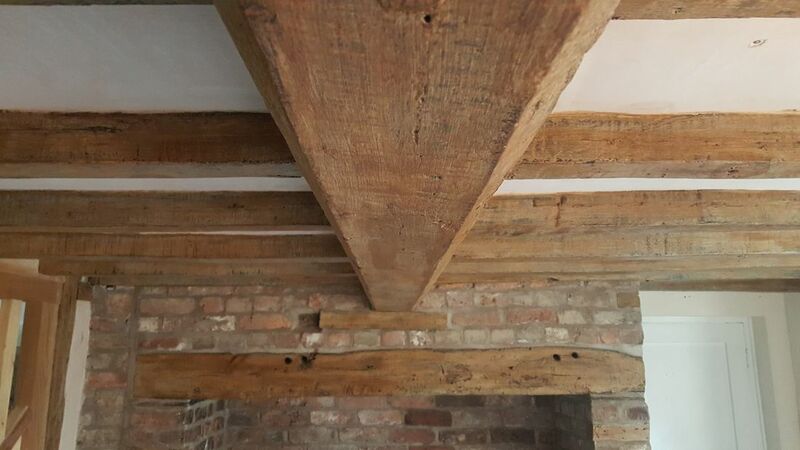 Years of thick black paint on these beams in Plealey, Shropshire, below. 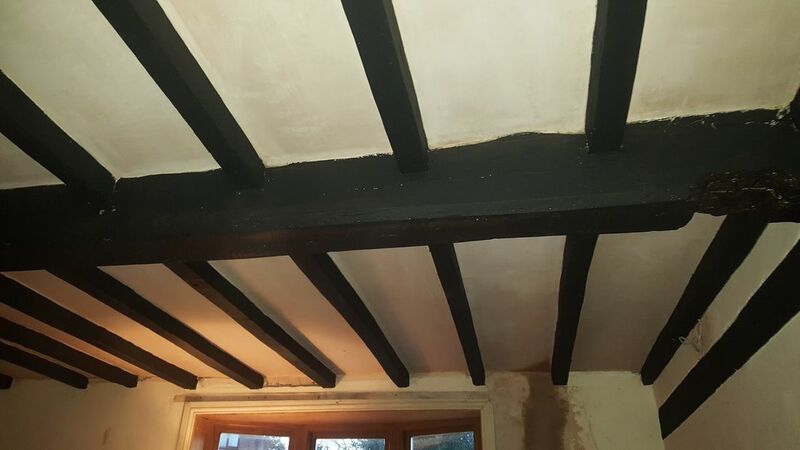 Transformed in just two days.... No mess!!! 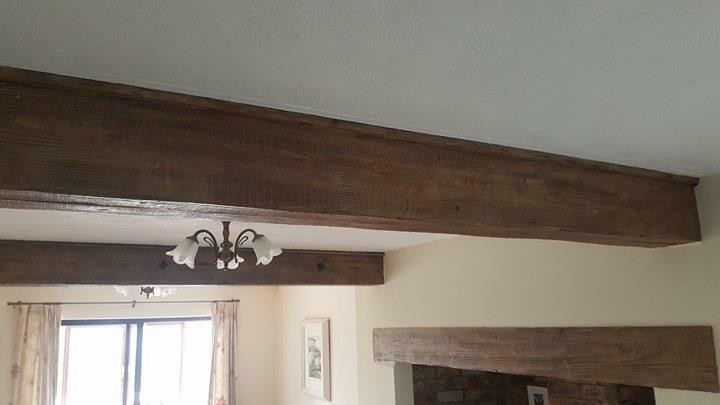 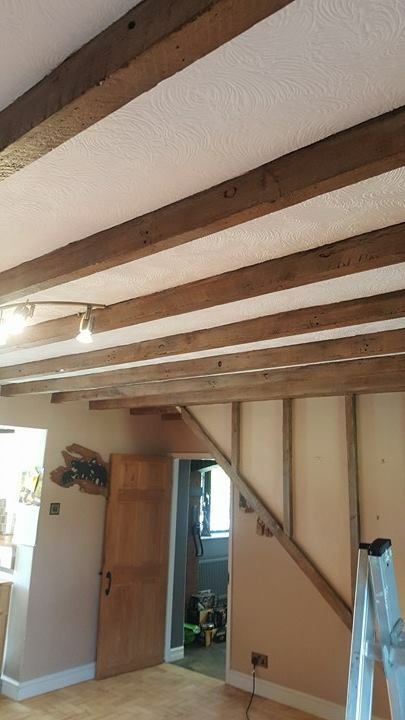 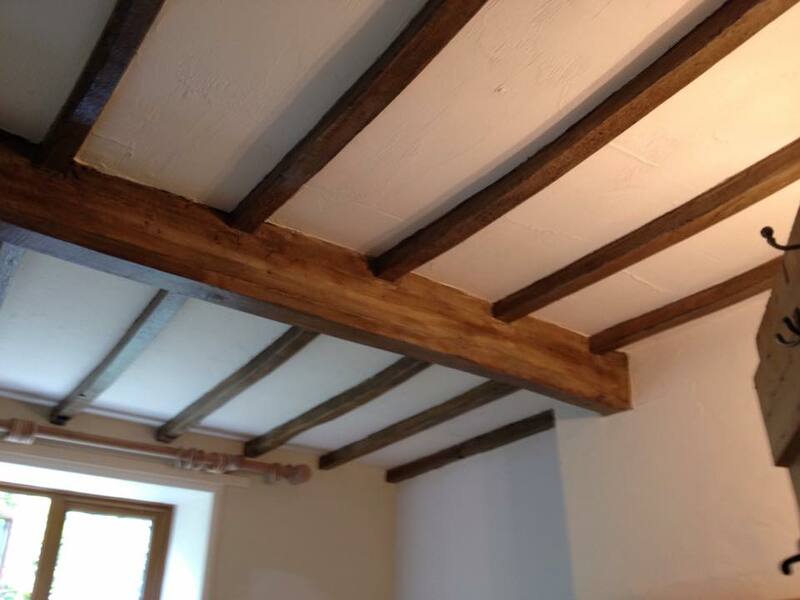 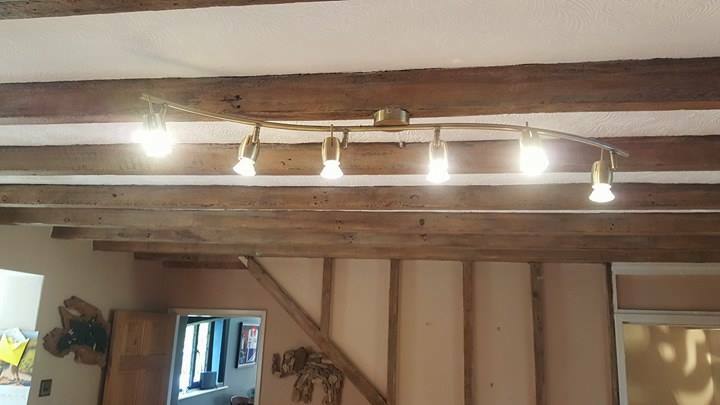 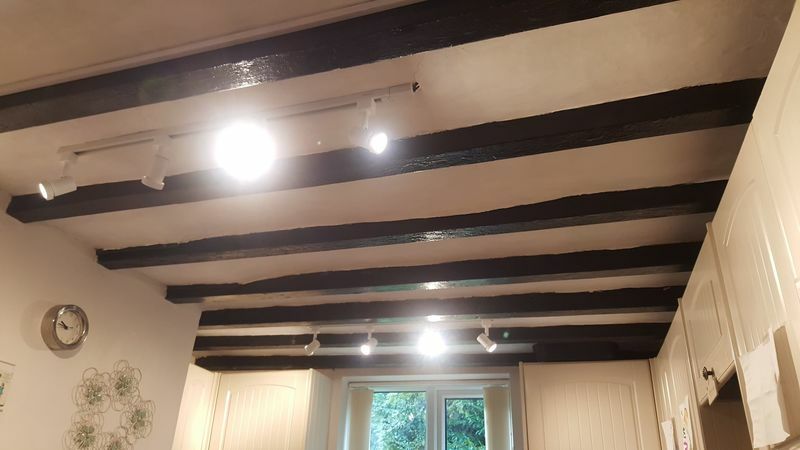 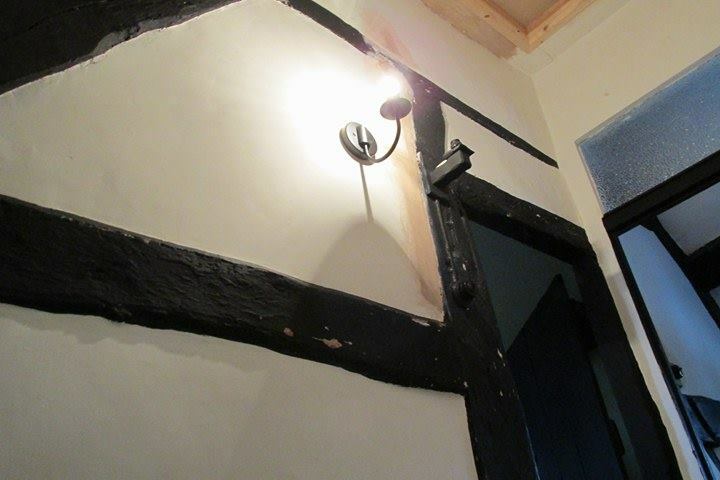 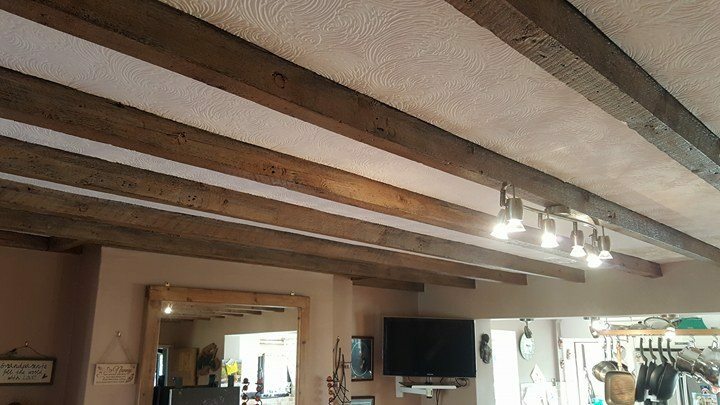 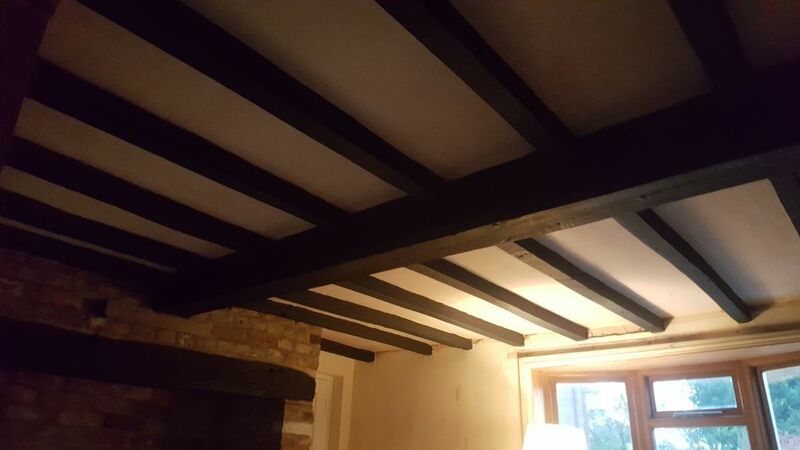 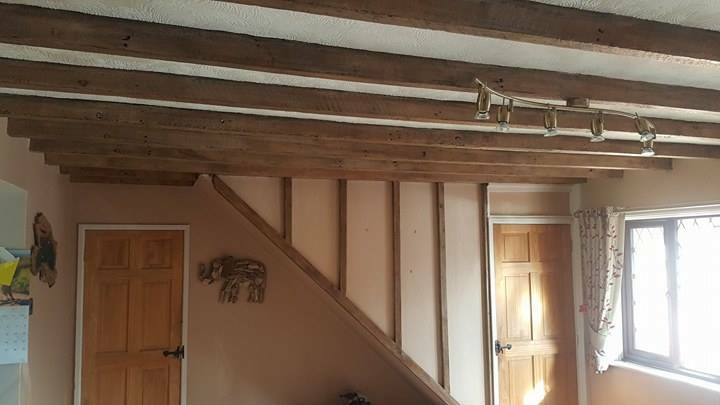 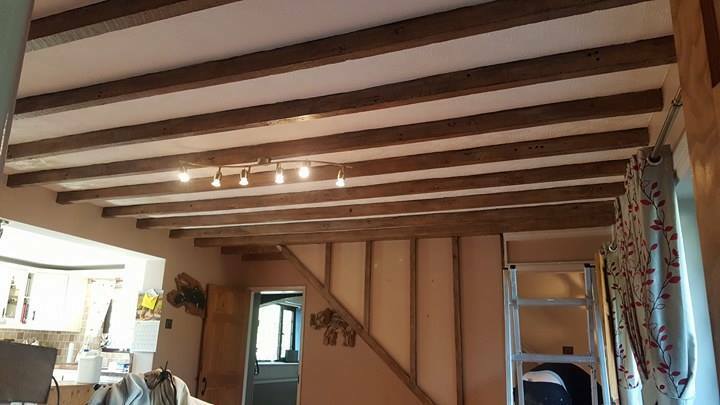 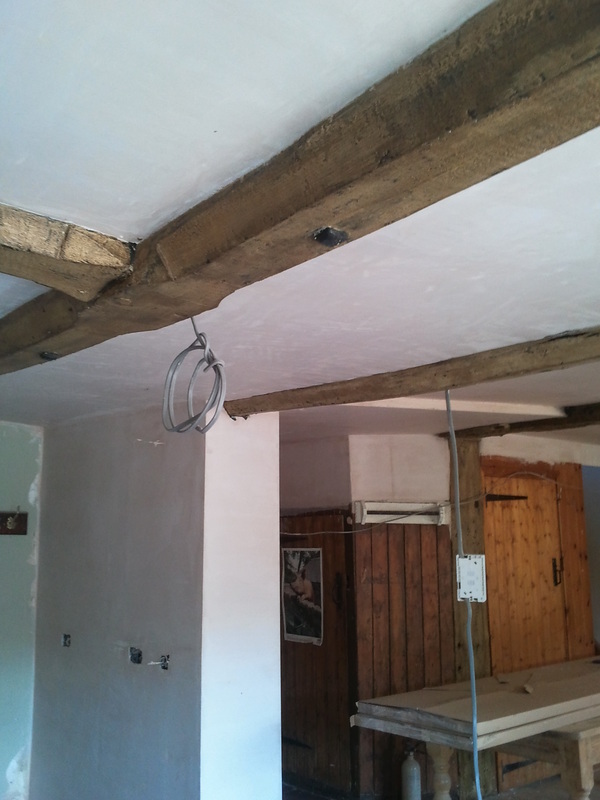 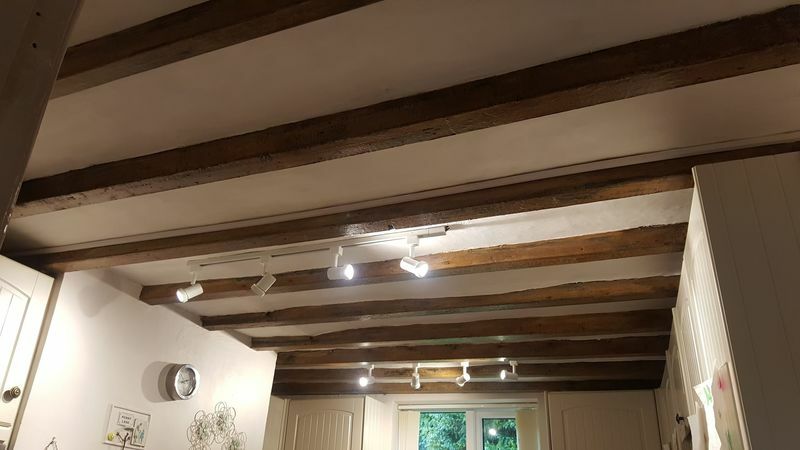 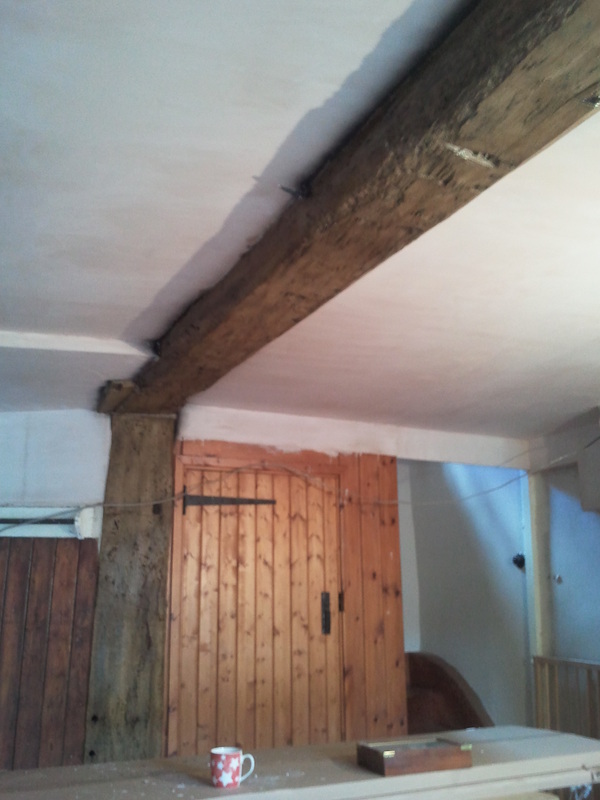 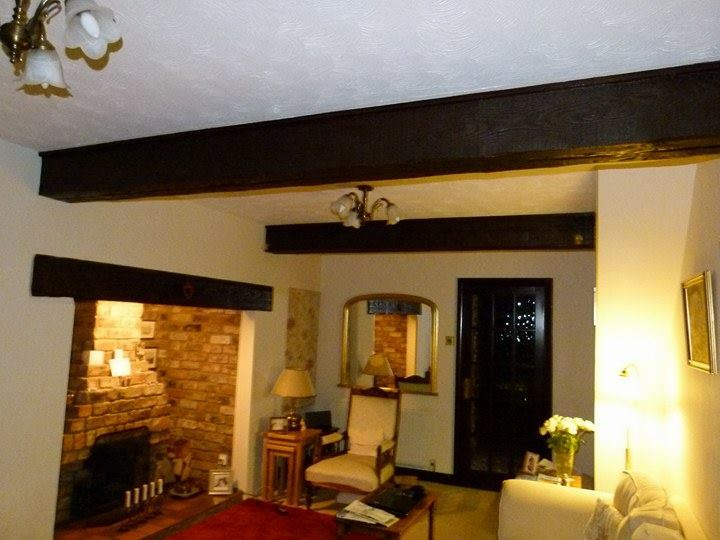 These beams were covered in black paint at 9am when I arrived, but looking fantastic when we left at 5pm the same day.